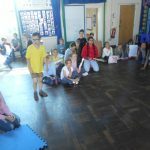 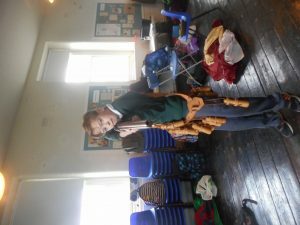 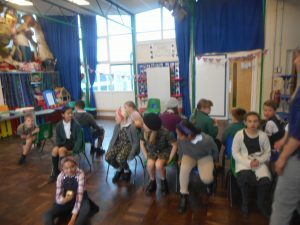 This week we have been practicing the play, we had our Tuesday assembly all about our lovely time at camp and performed our experiences. 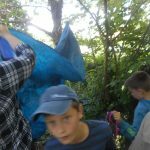 At 1:15 pm we did sports day and for the first time in years, the weather was on our side.Droskyen and Boligny were 15 points apart. For once Bolingy won beating Chapel rock, Droysken and Perrancoome. 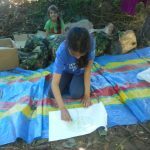 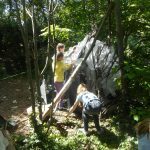 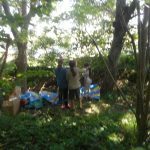 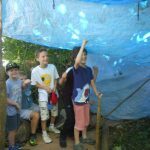 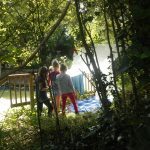 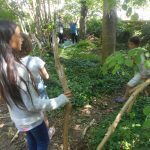 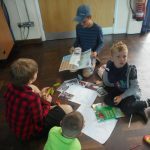 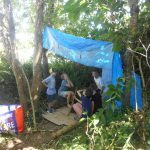 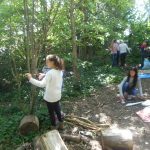 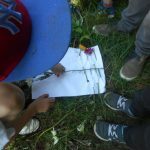 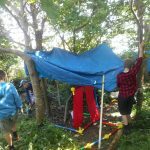 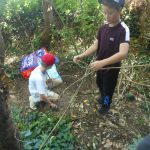 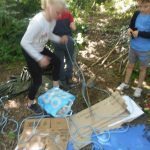 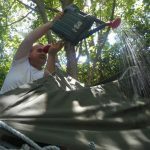 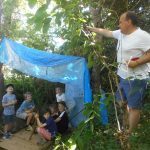 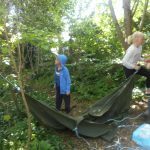 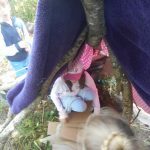 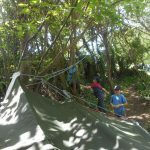 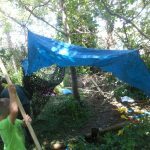 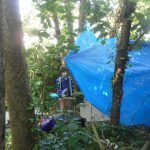 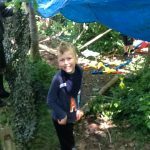 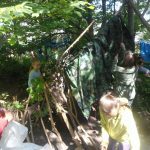 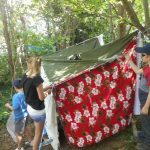 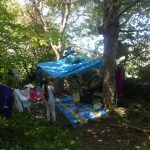 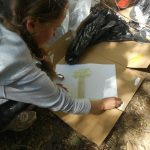 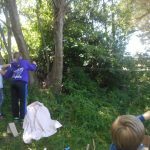 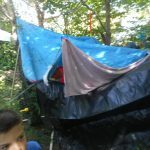 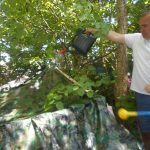 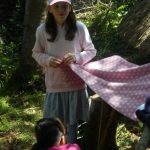 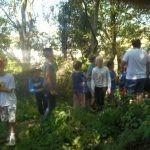 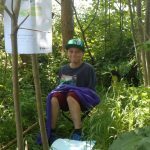 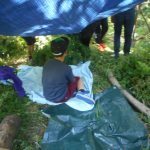 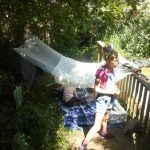 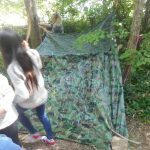 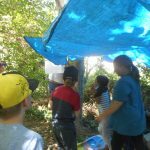 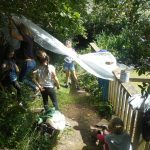 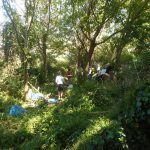 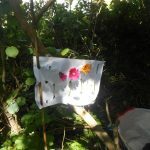 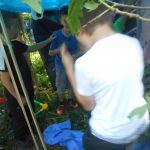 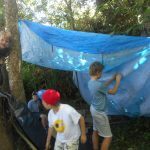 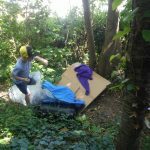 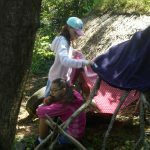 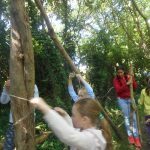 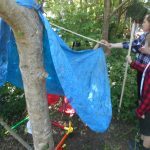 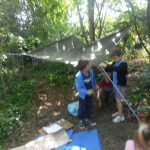 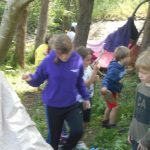 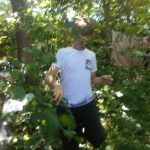 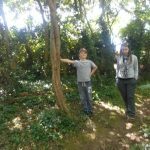 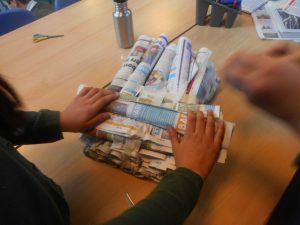 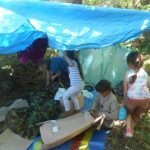 This den building day, we are building dens in the environmental area out of anything you can bring from home, also you can bring your things home or you can leave them up. 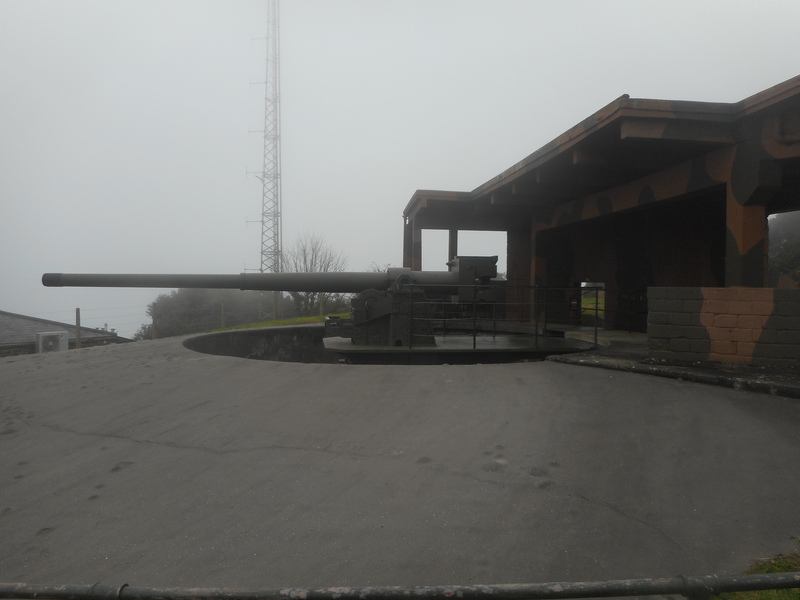 Mr mcGowan is going to pour water over us to see if it is waterproof. 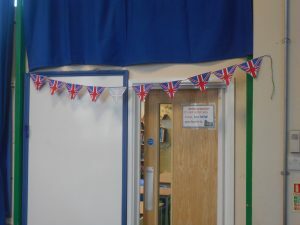 On the 19th of June we have our school photos so make sure you’re looking smart and happy. 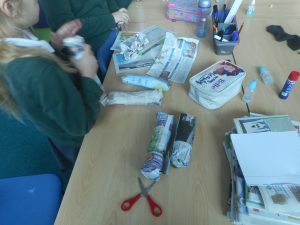 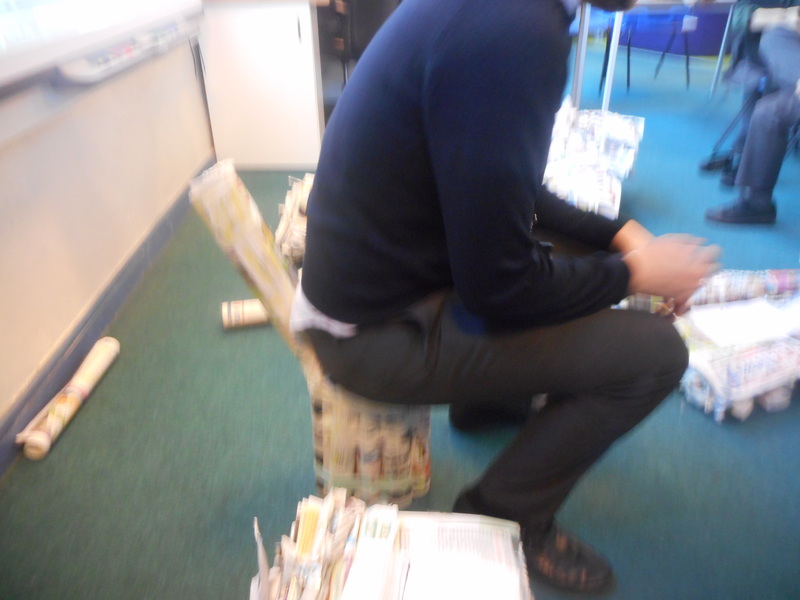 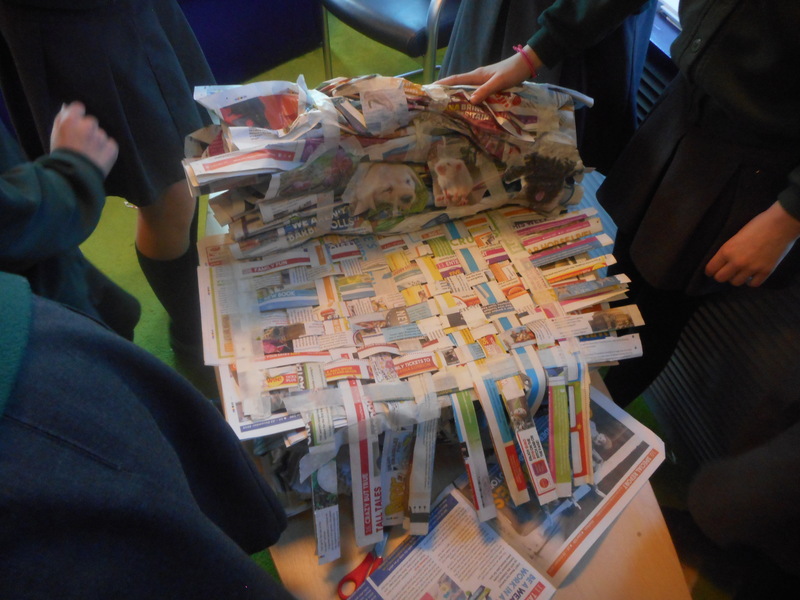 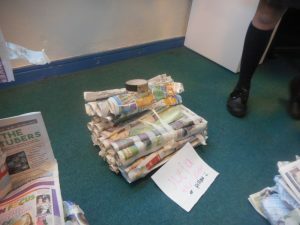 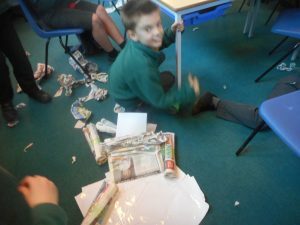 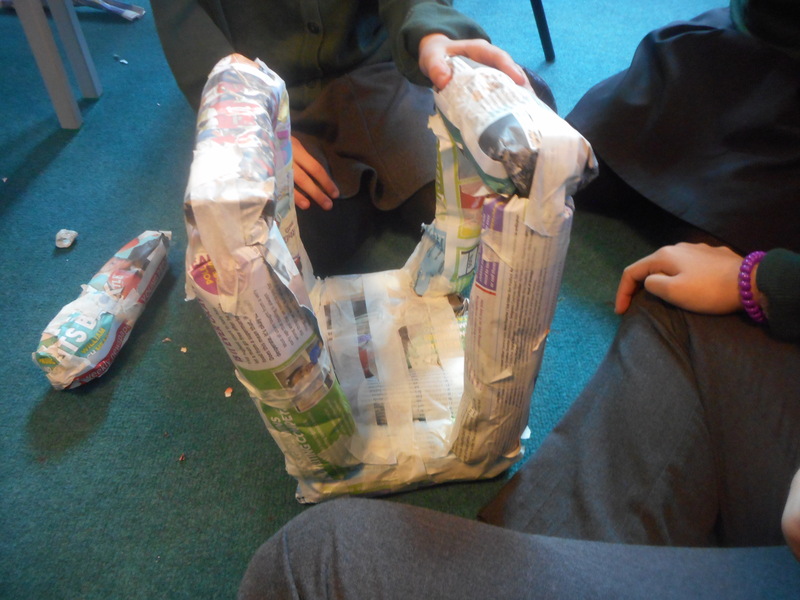 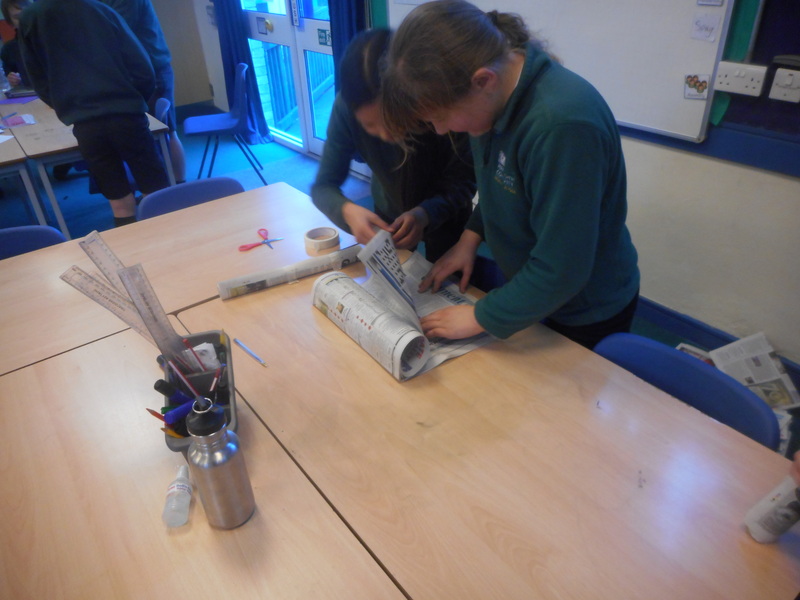 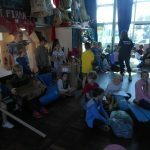 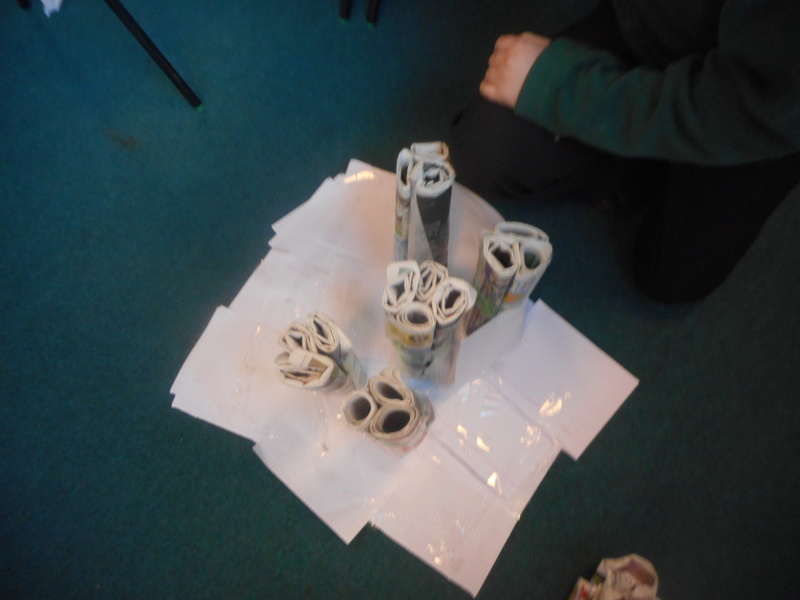 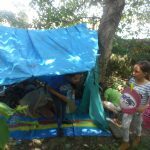 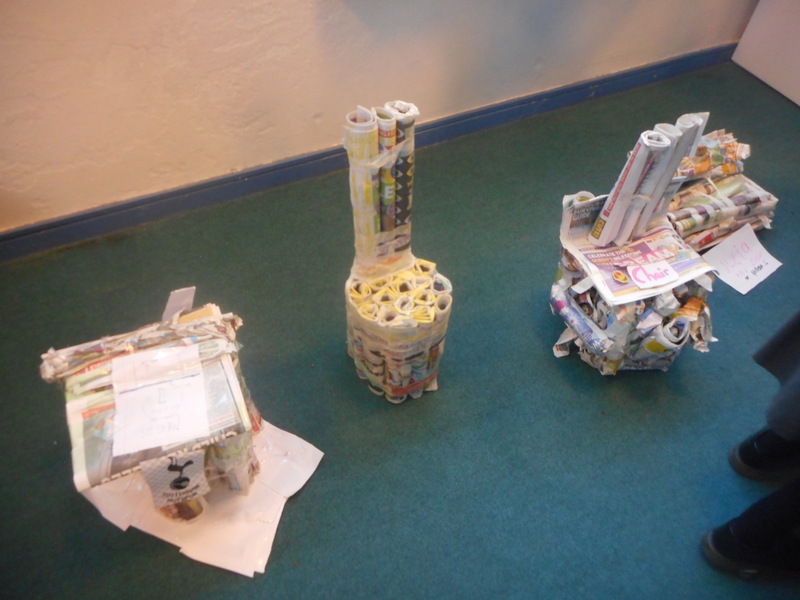 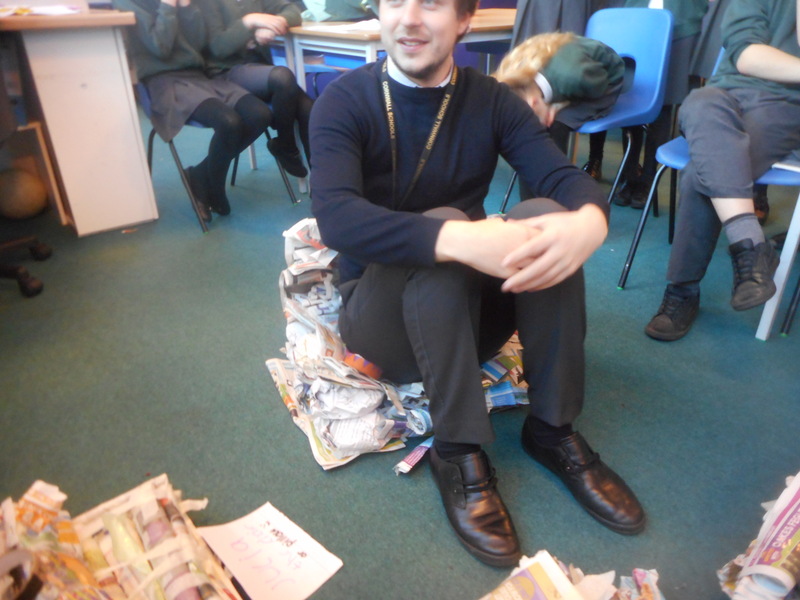 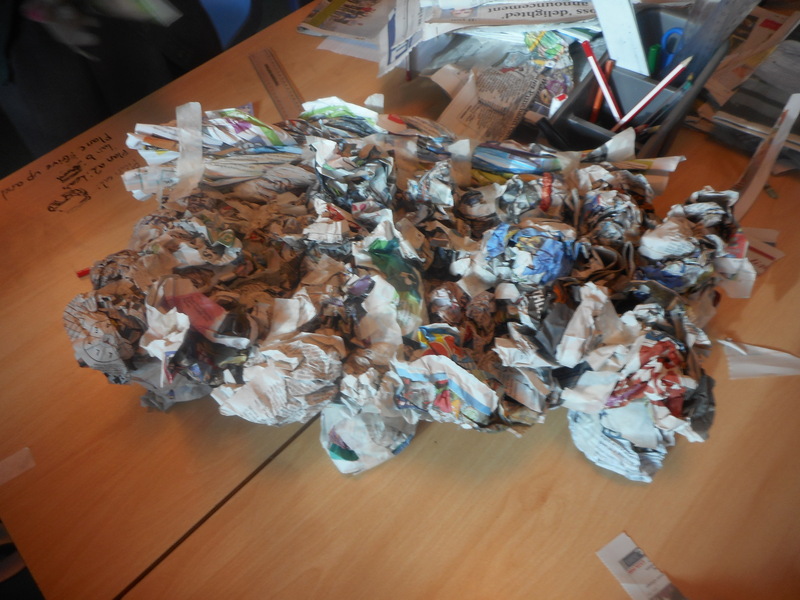 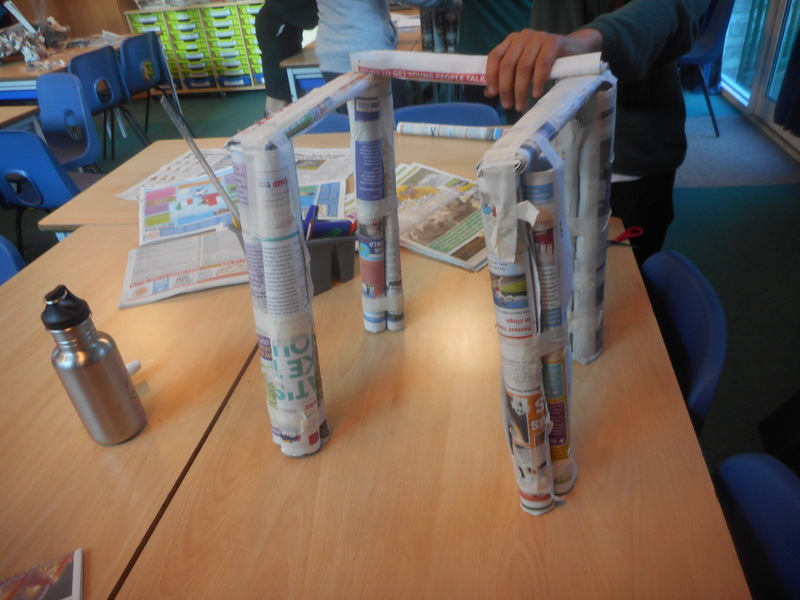 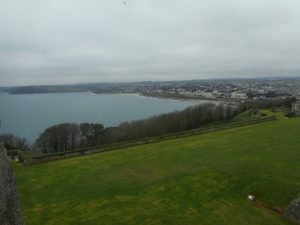 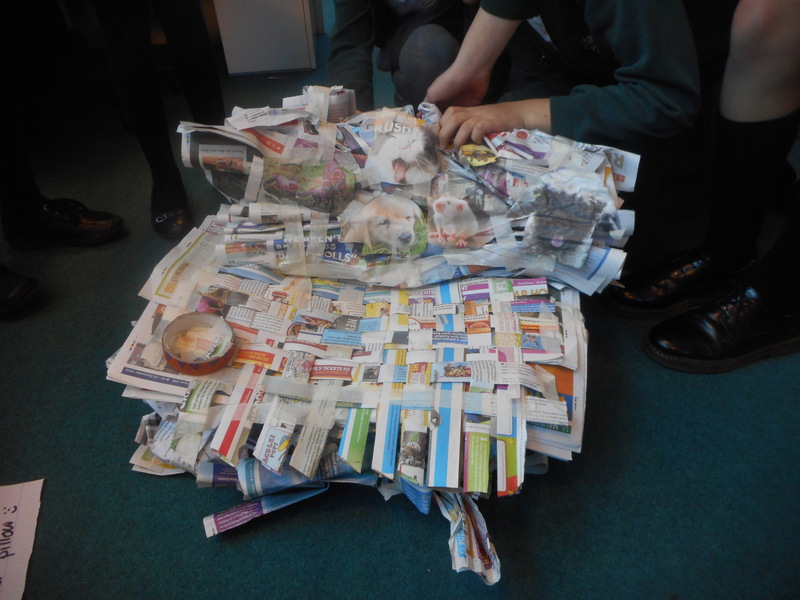 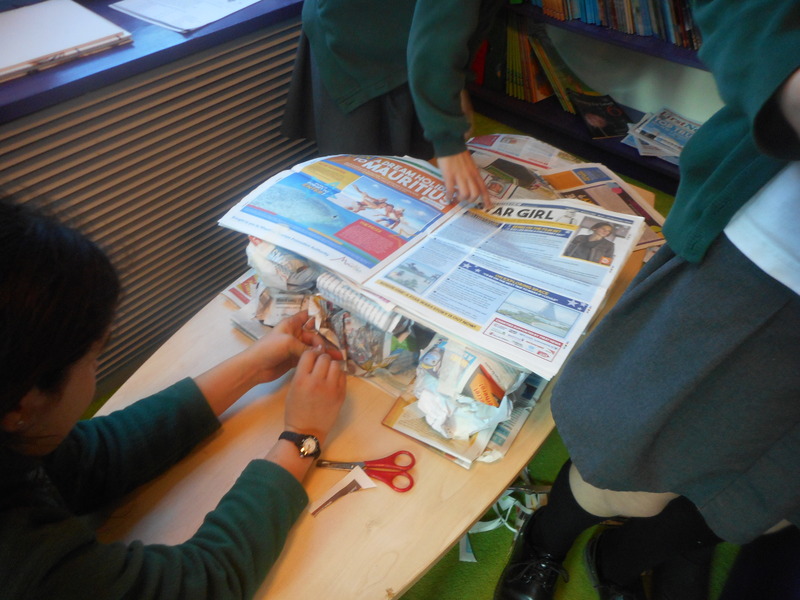 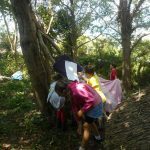 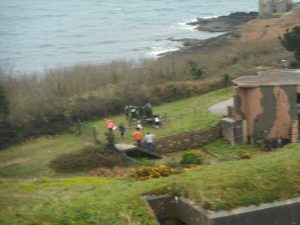 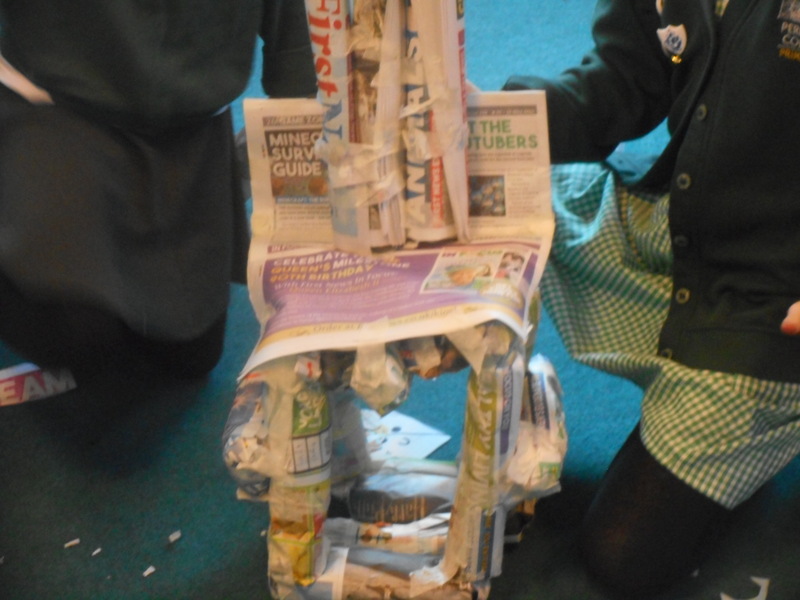 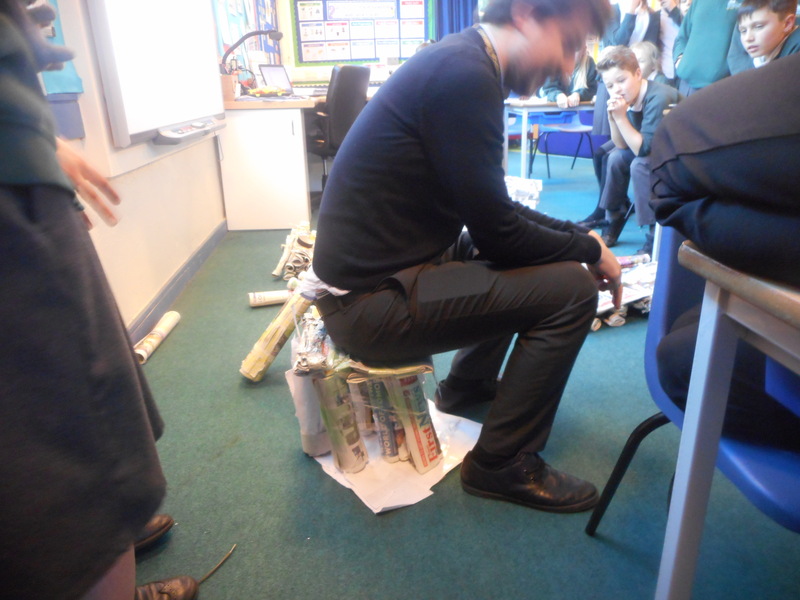 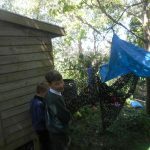 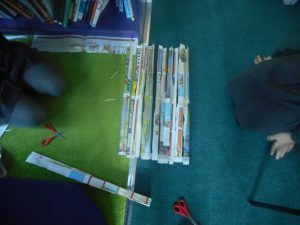 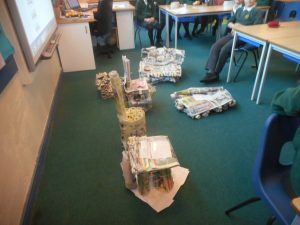 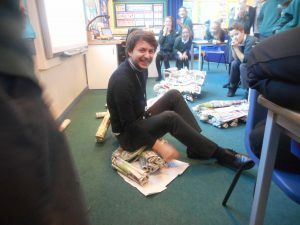 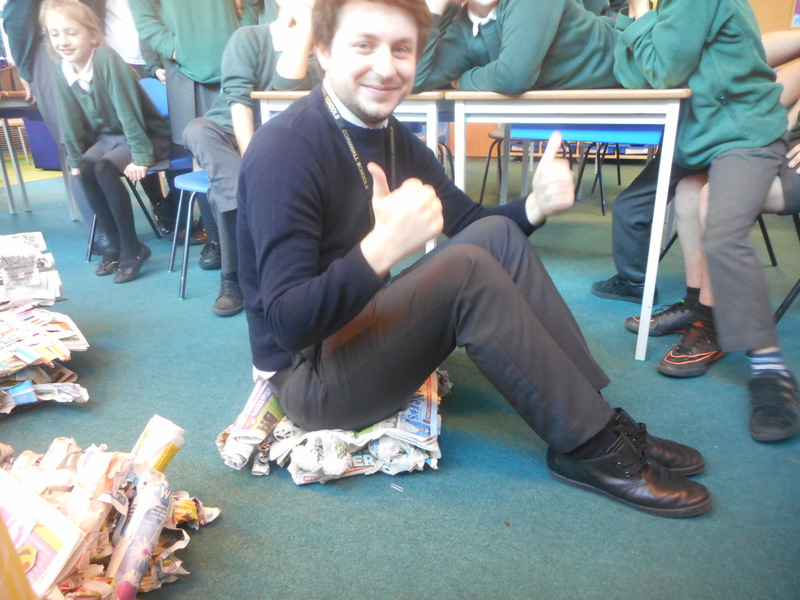 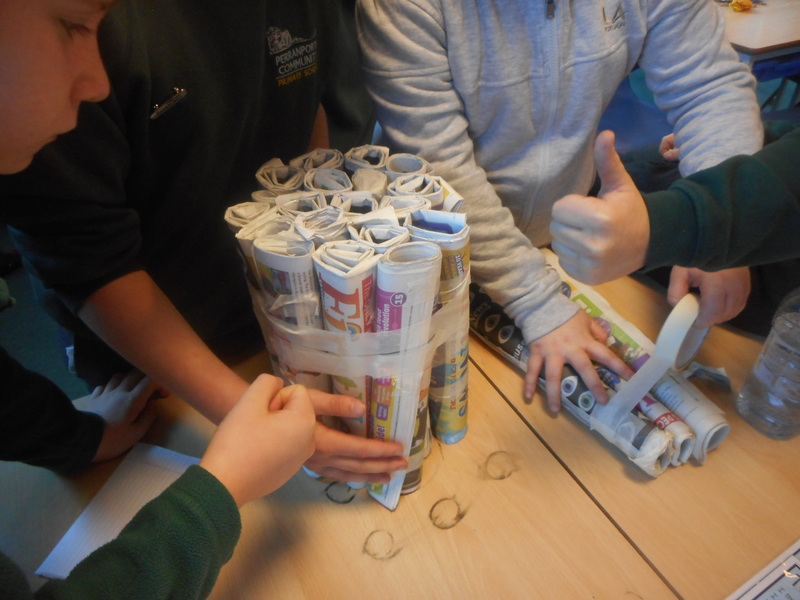 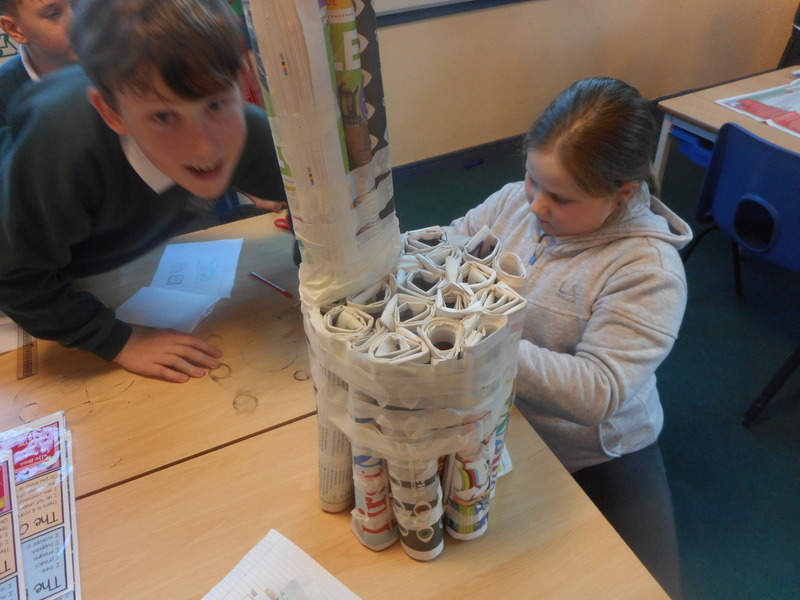 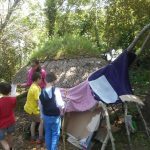 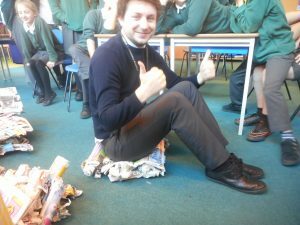 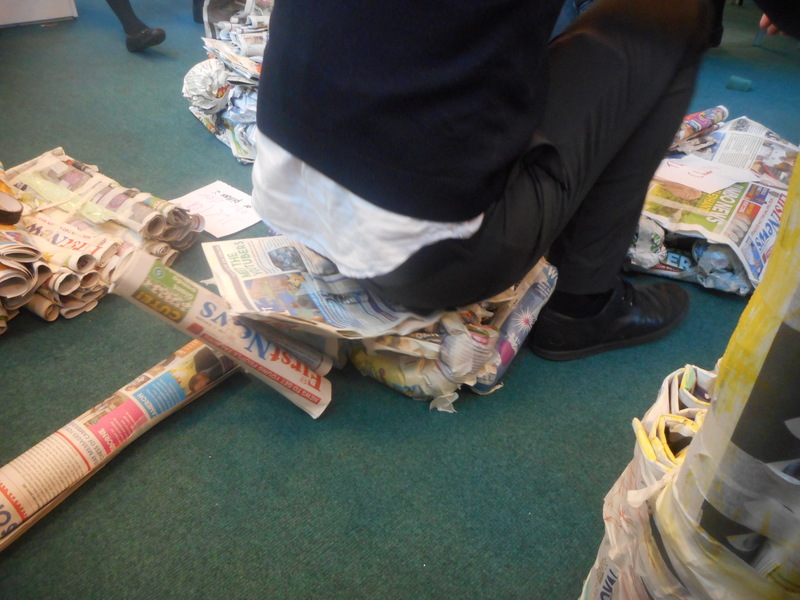 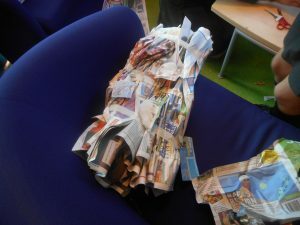 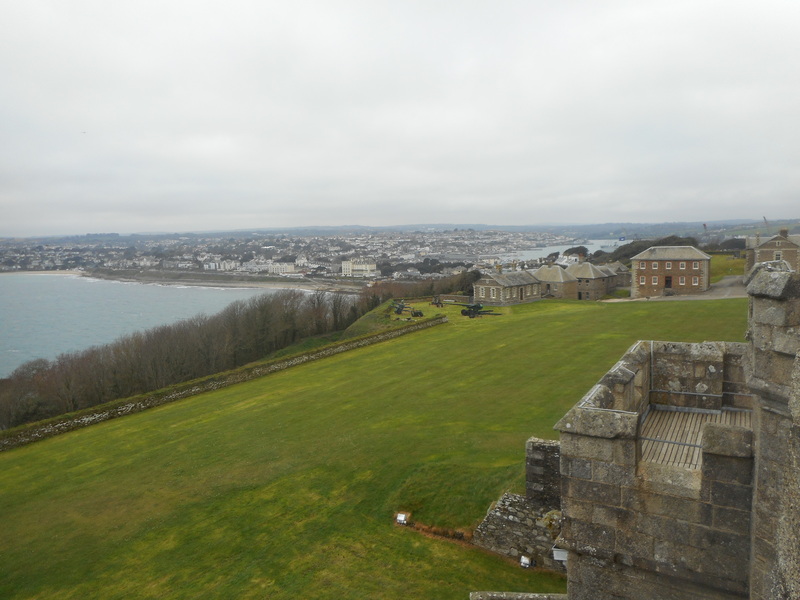 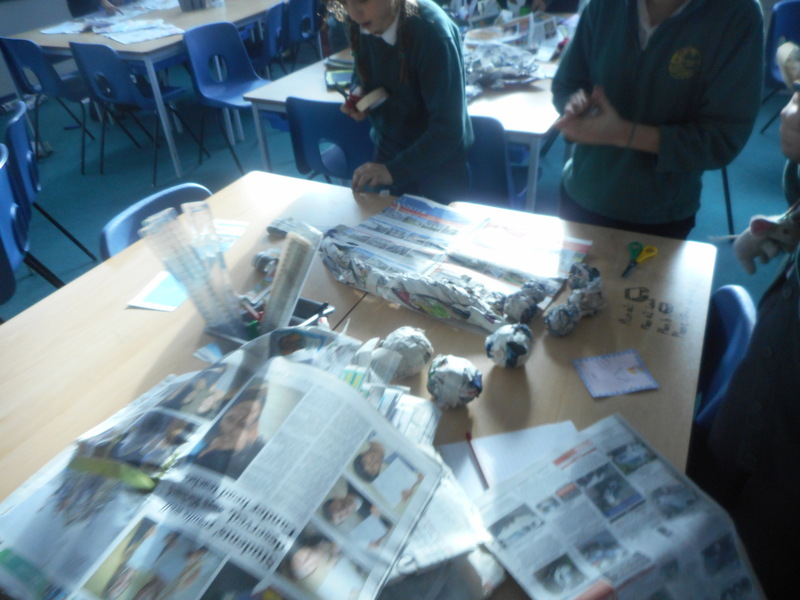 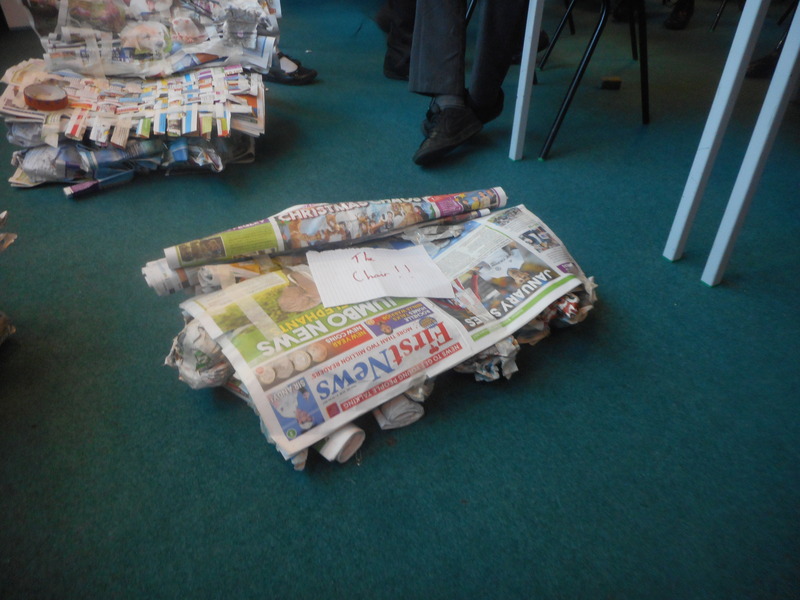 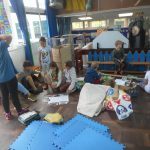 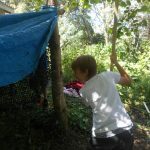 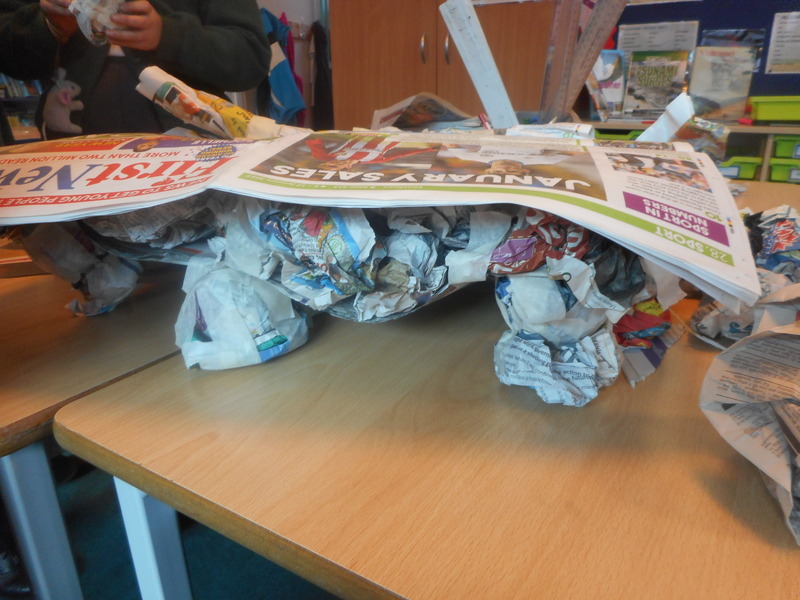 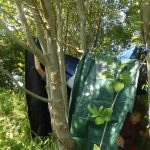 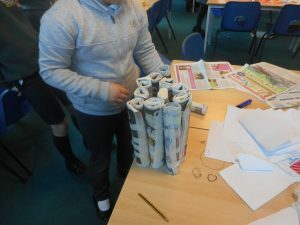 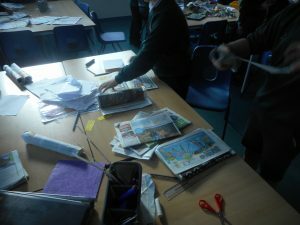 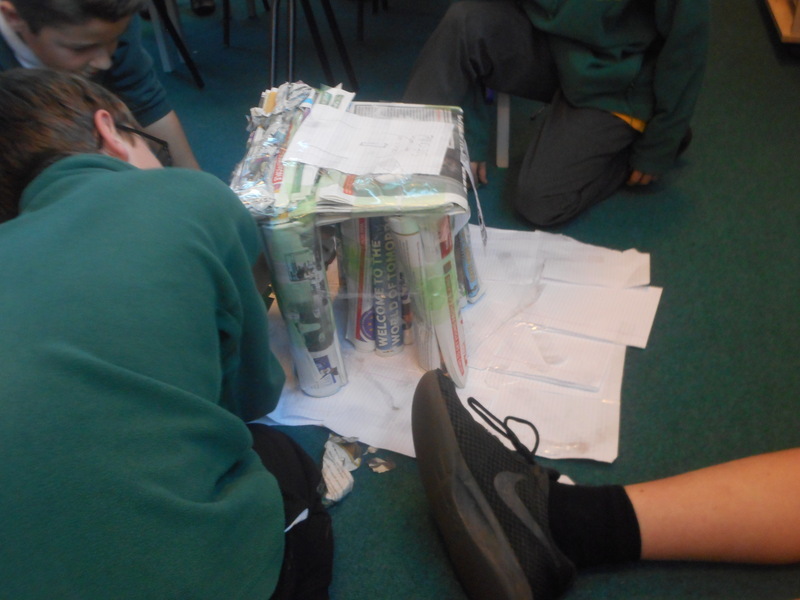 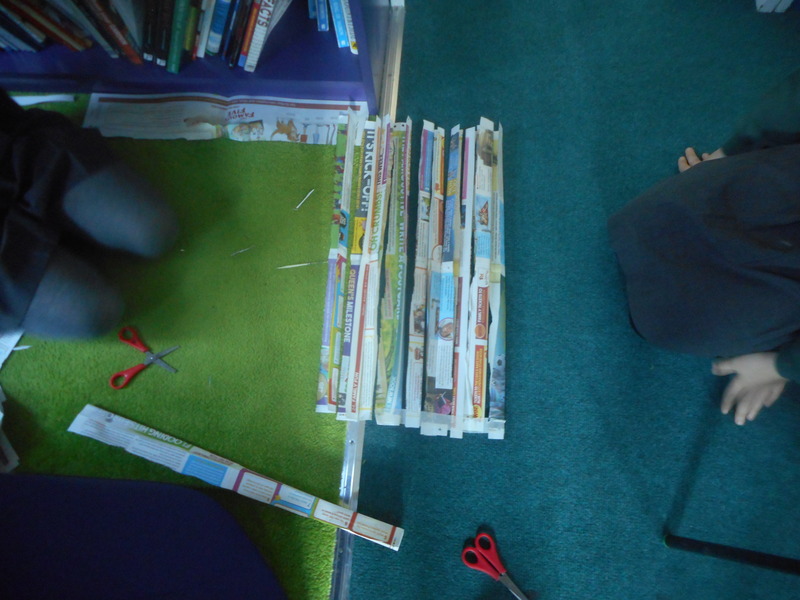 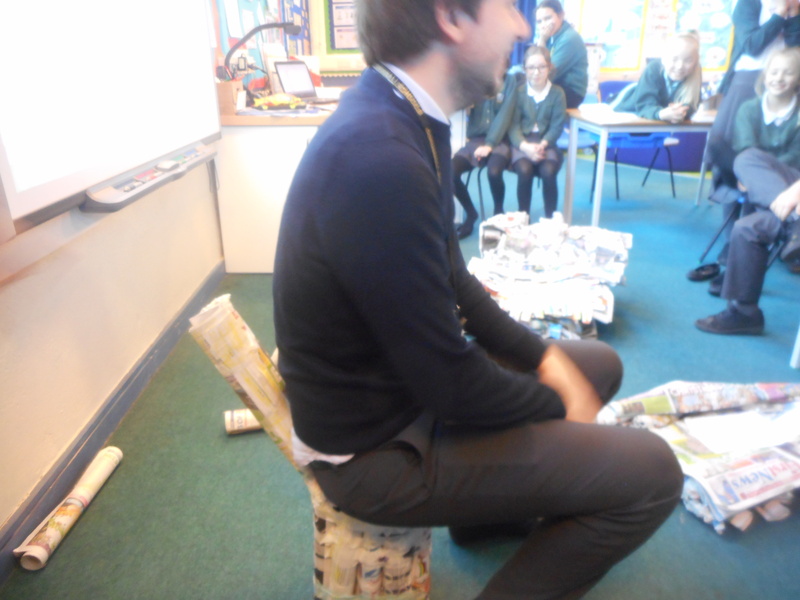 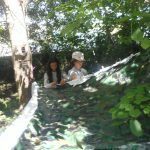 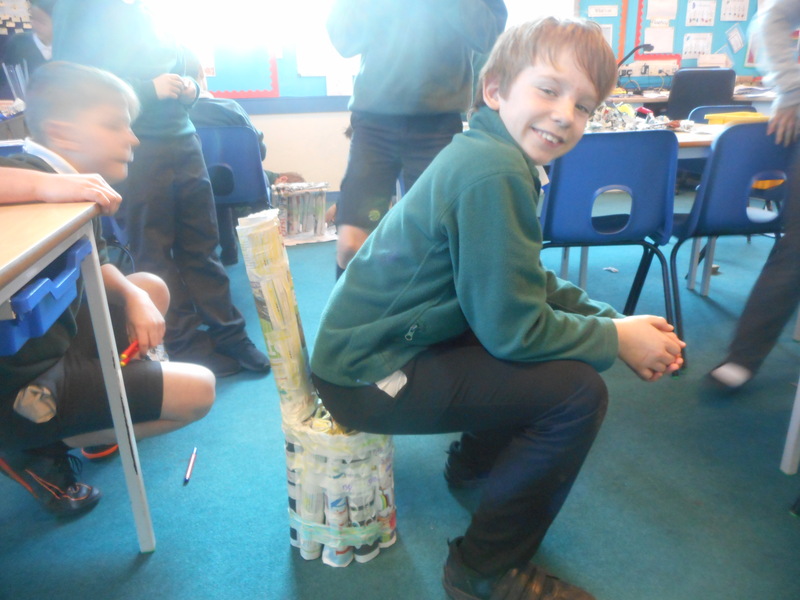 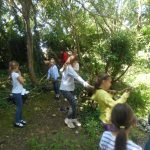 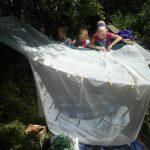 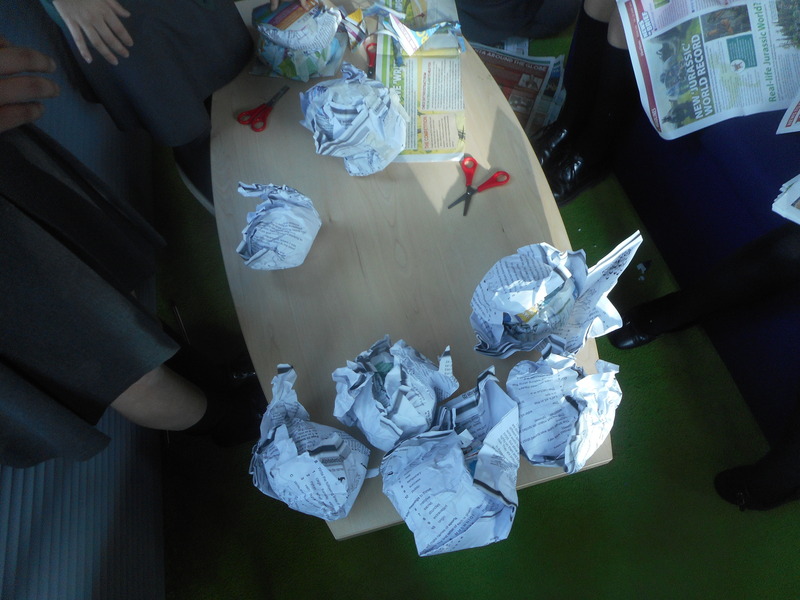 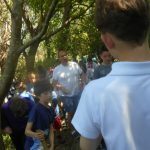 Today Davy class along, with Boscawen class, made dens in the environmental area to raise money for Save the Children. 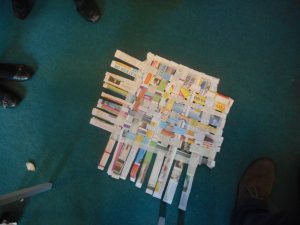 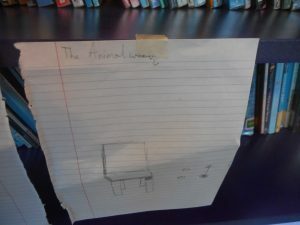 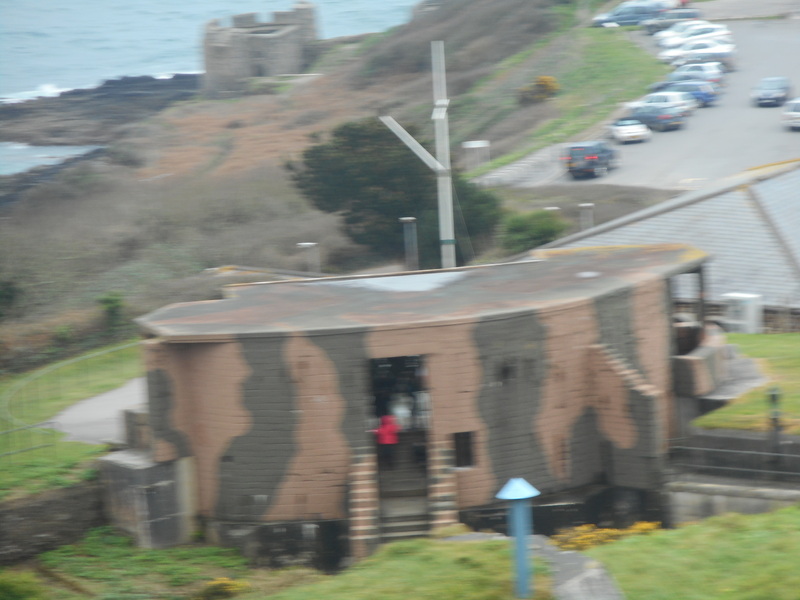 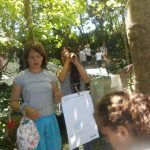 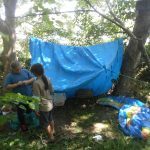 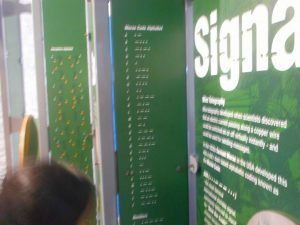 They also made to make a flag to identify their shelter. 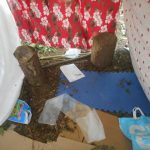 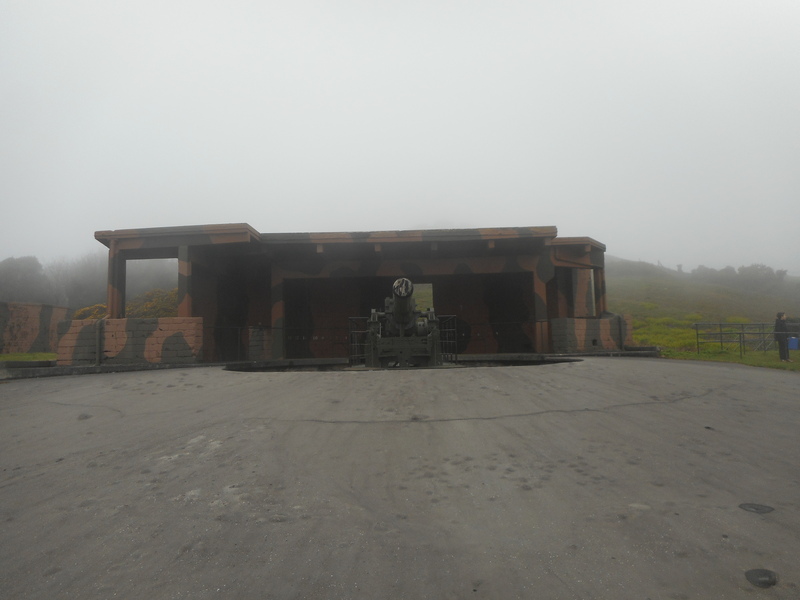 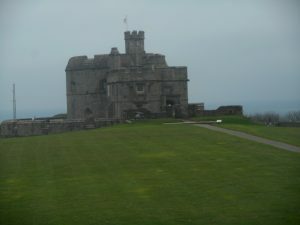 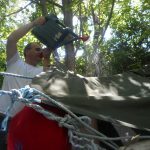 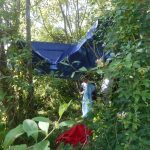 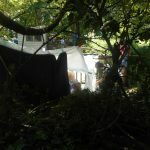 The final test was whether or not their den would withstand a rain shower. 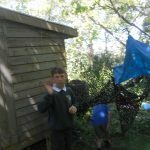 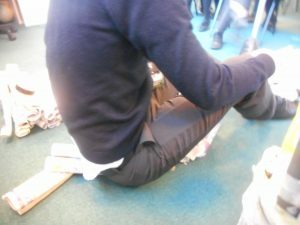 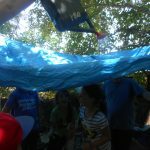 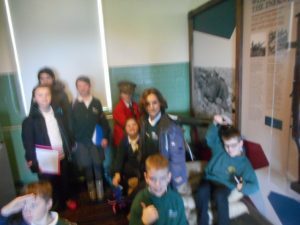 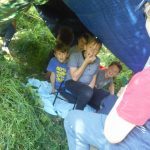 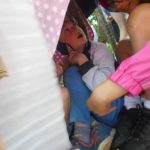 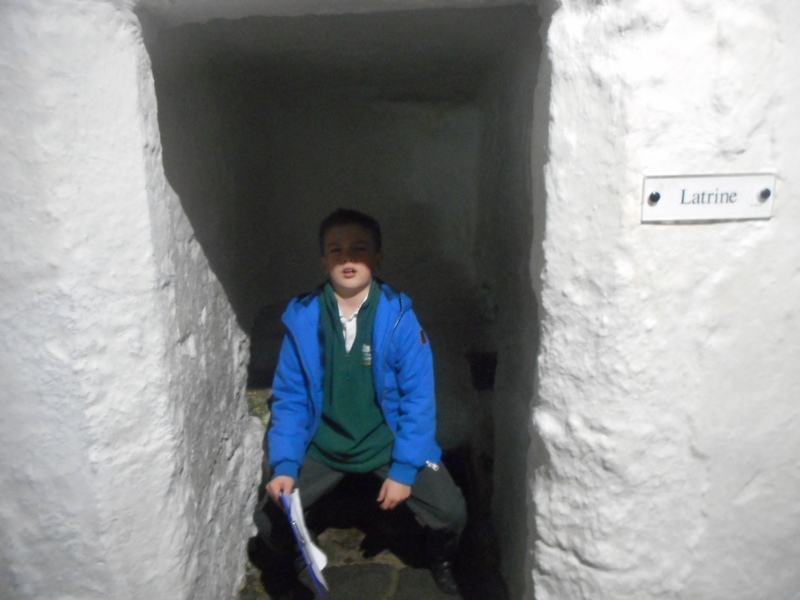 All the classs made brilliant dens and not many got wet! 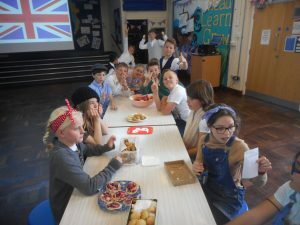 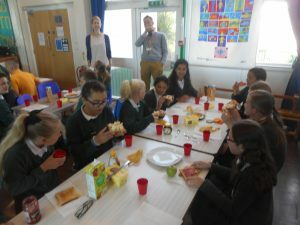 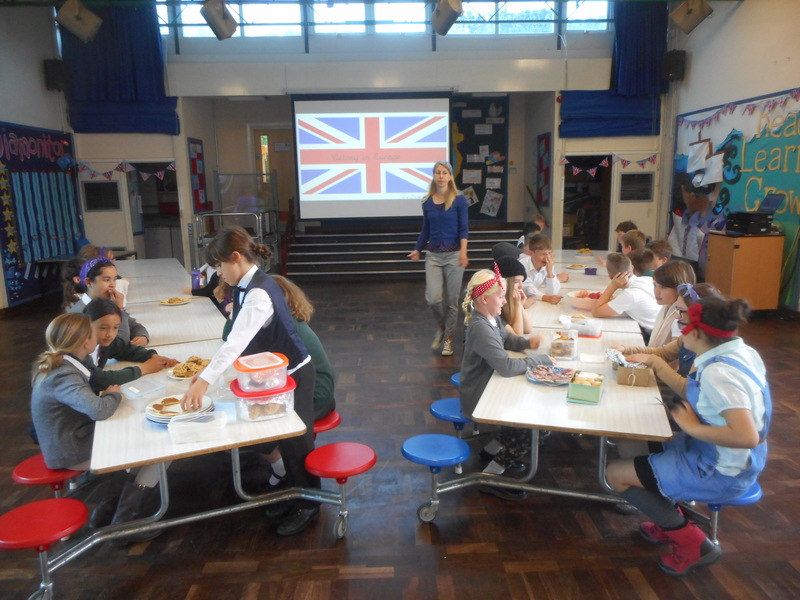 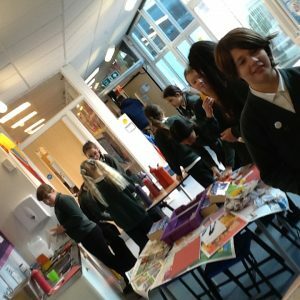 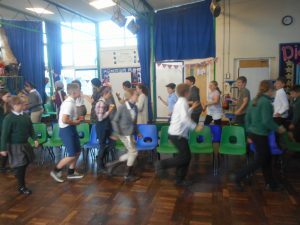 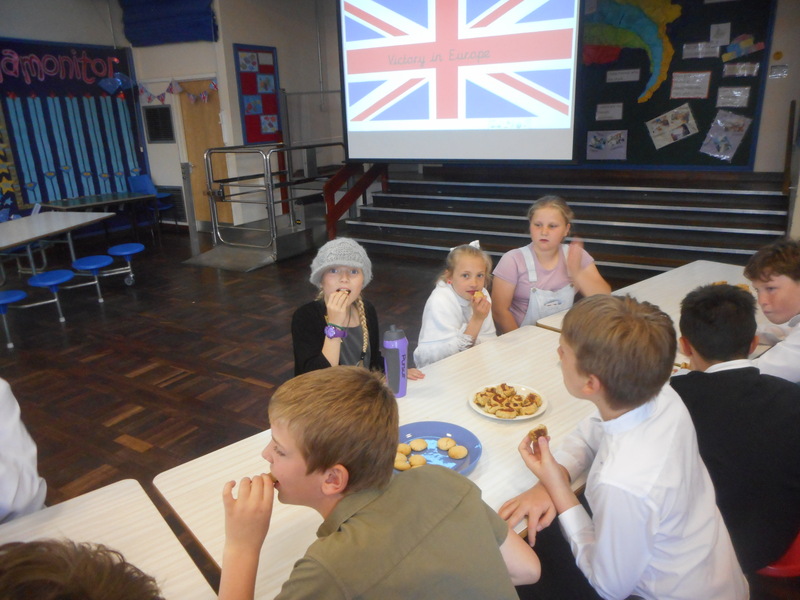 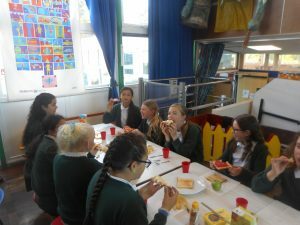 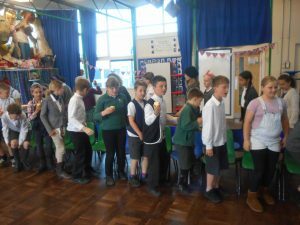 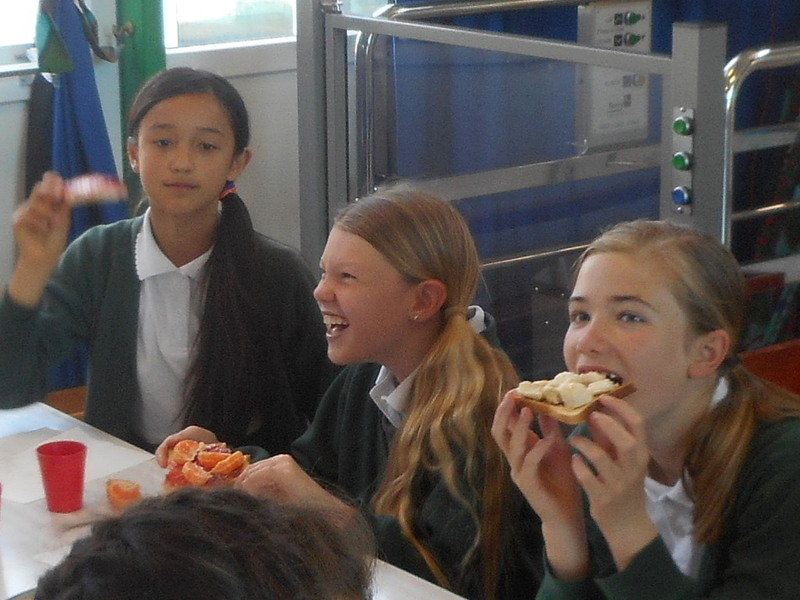 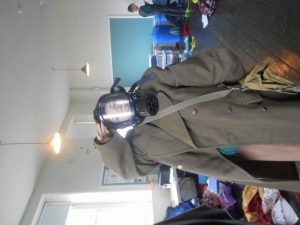 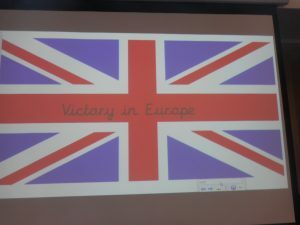 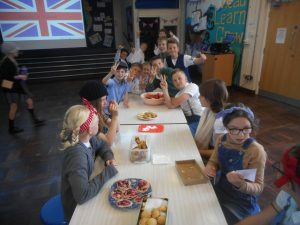 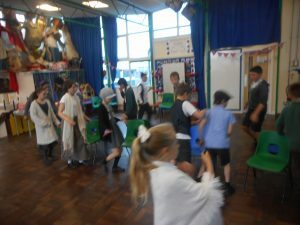 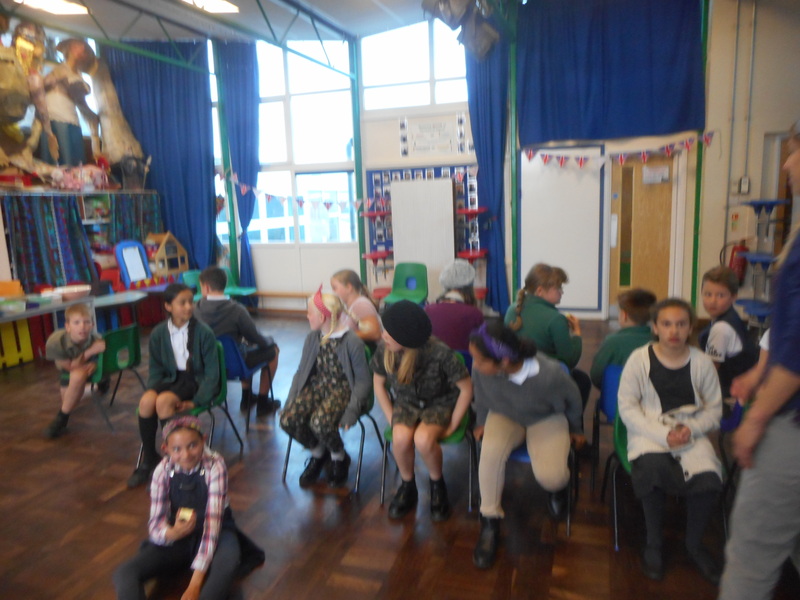 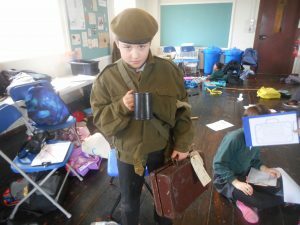 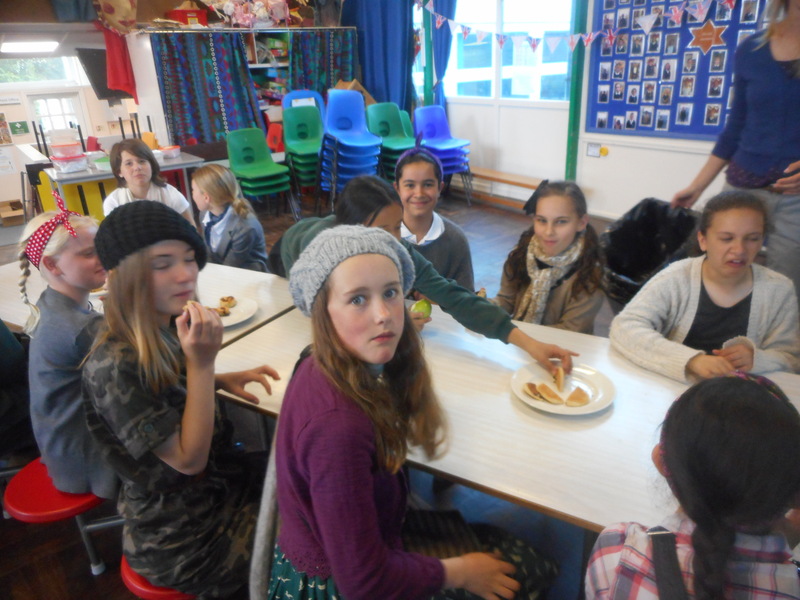 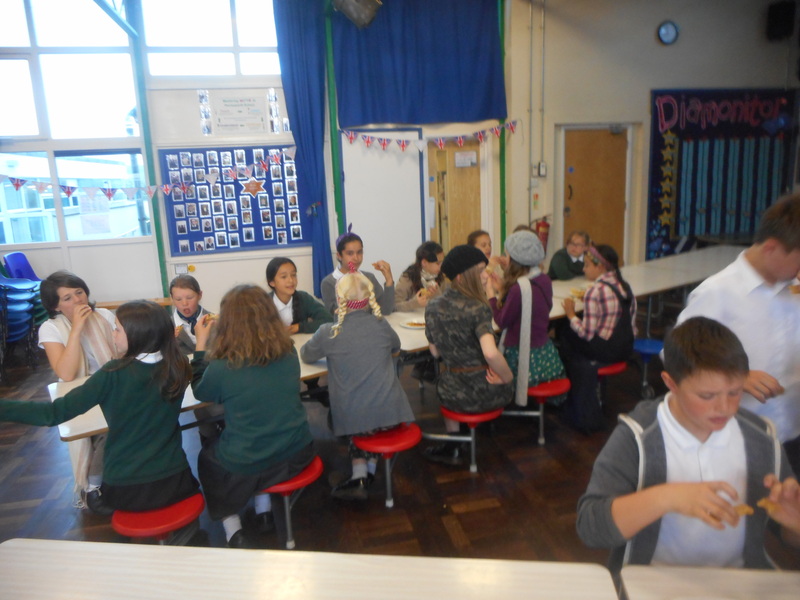 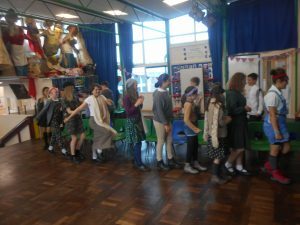 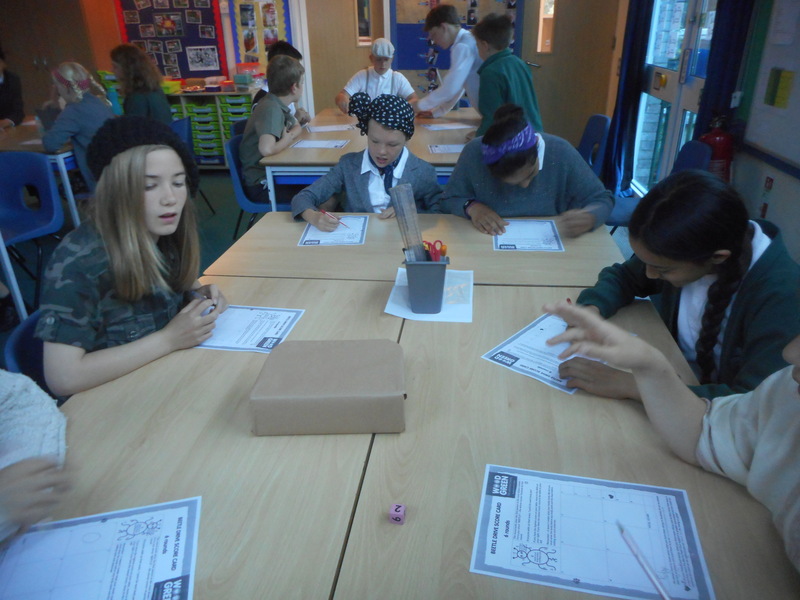 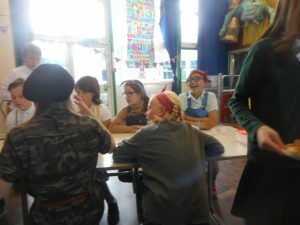 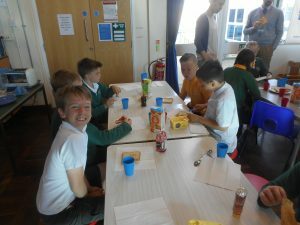 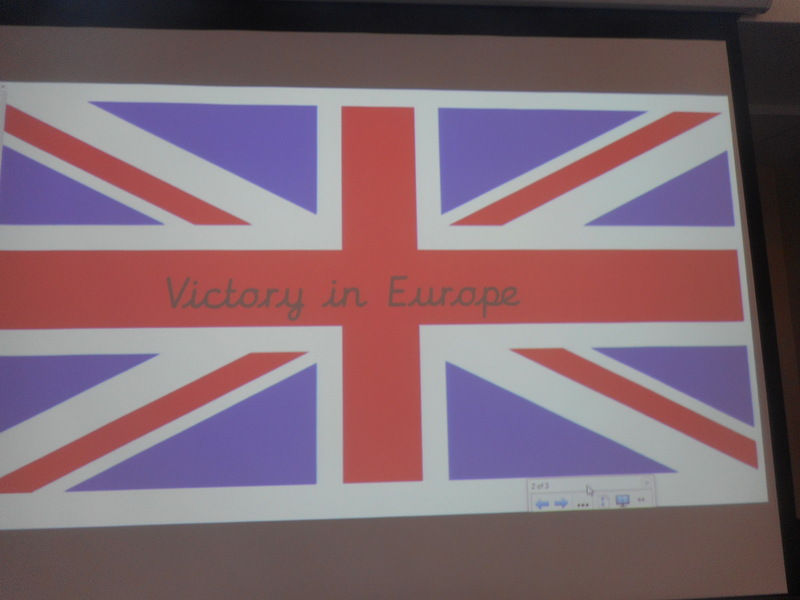 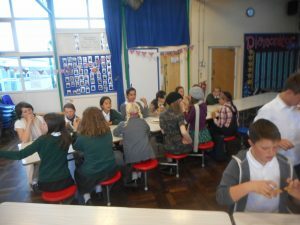 Davy class celebrated the end of their WW2 topic by having their very own VE party. 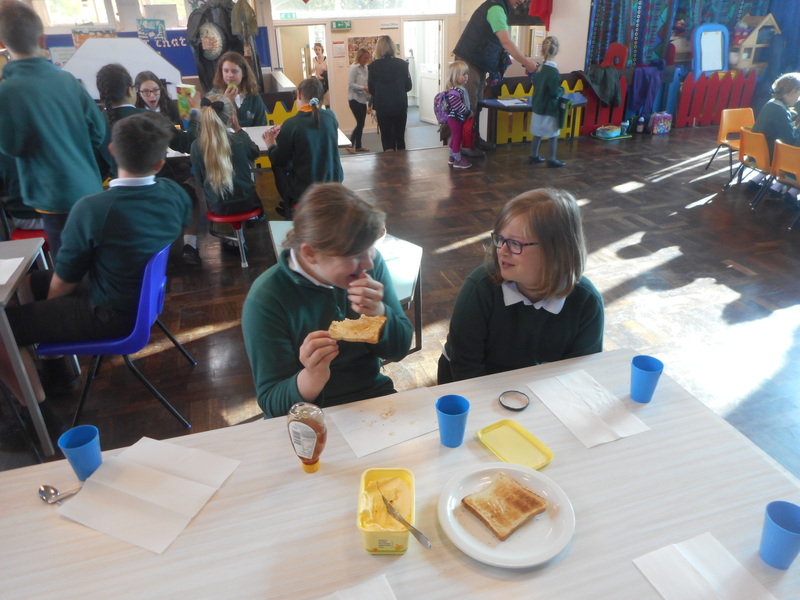 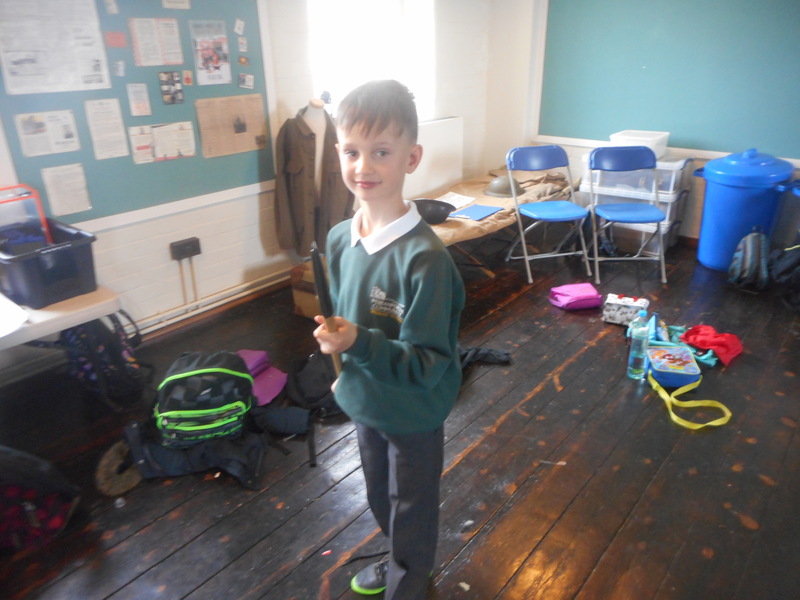 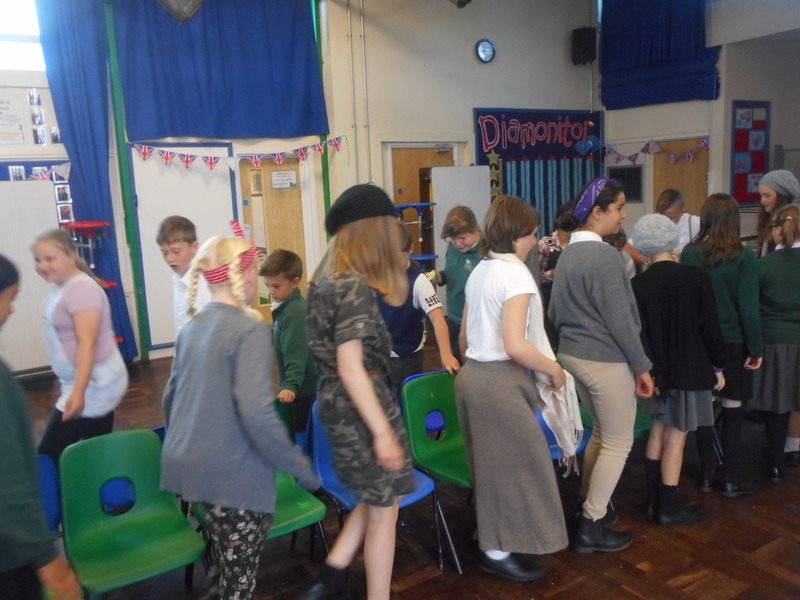 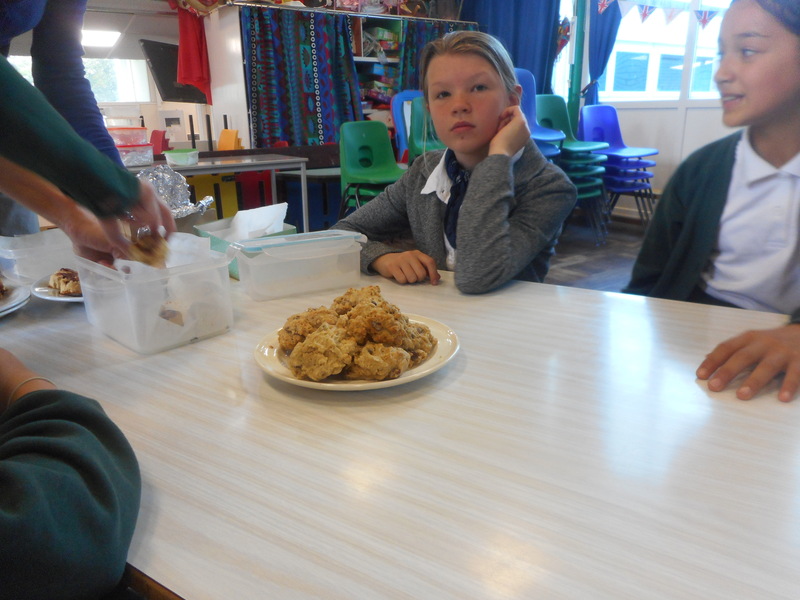 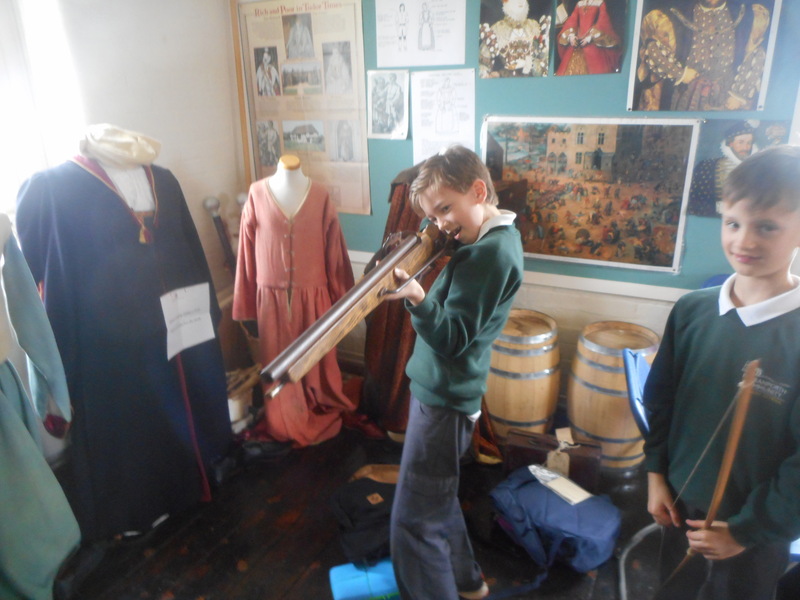 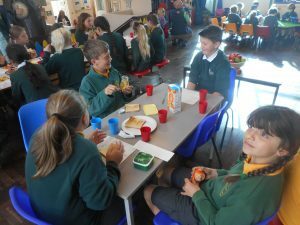 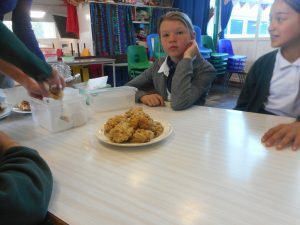 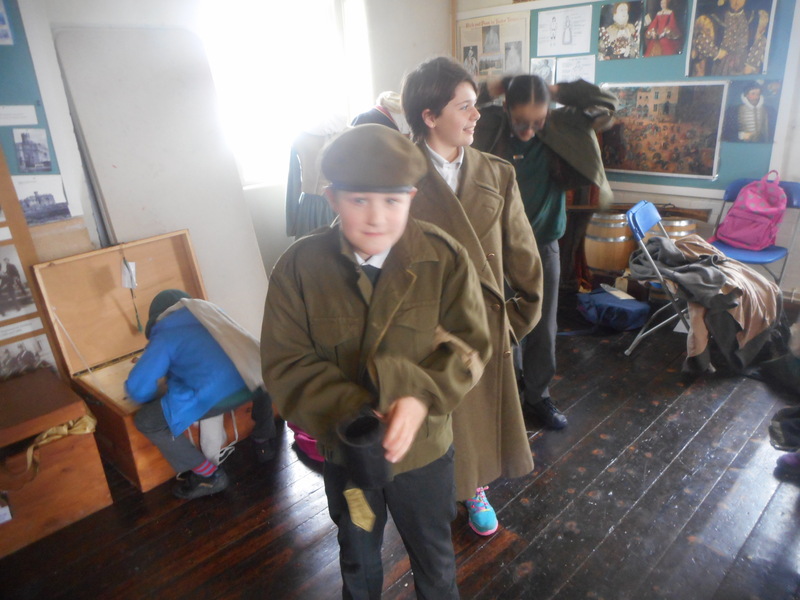 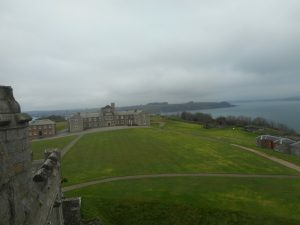 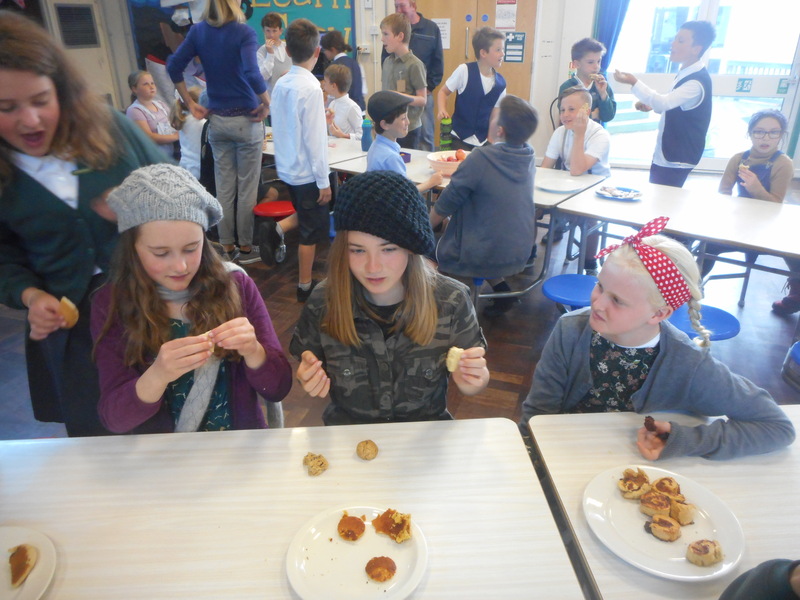 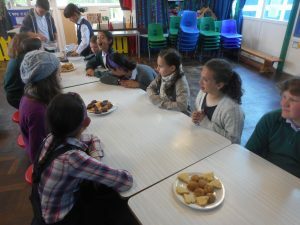 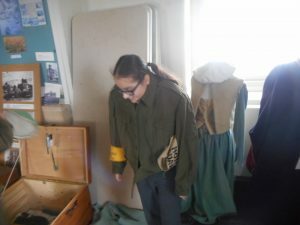 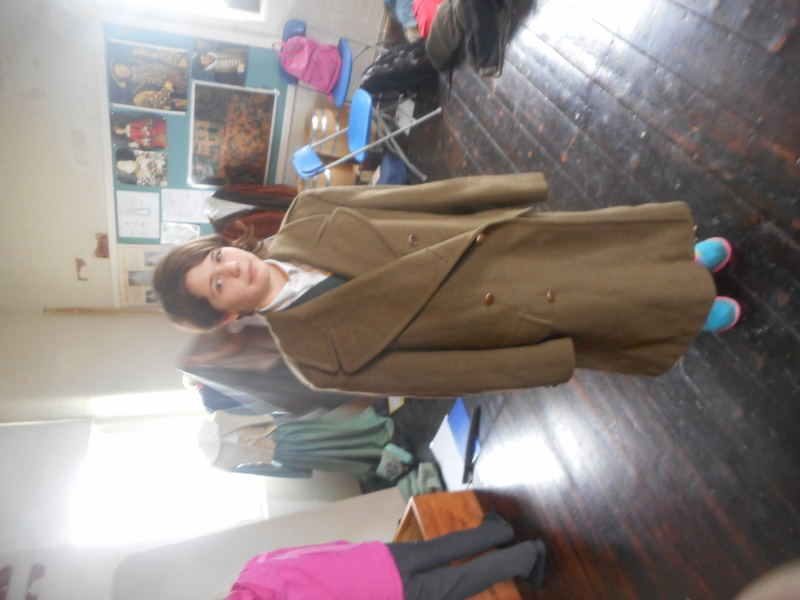 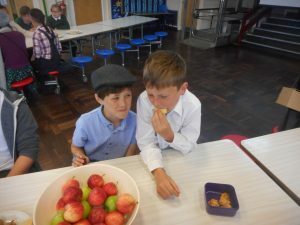 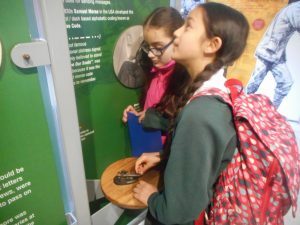 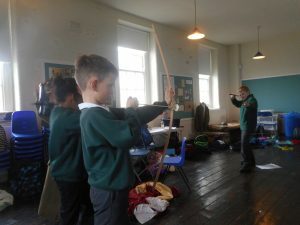 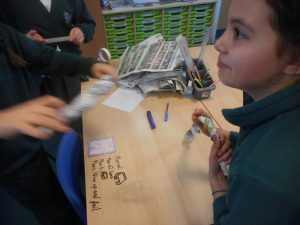 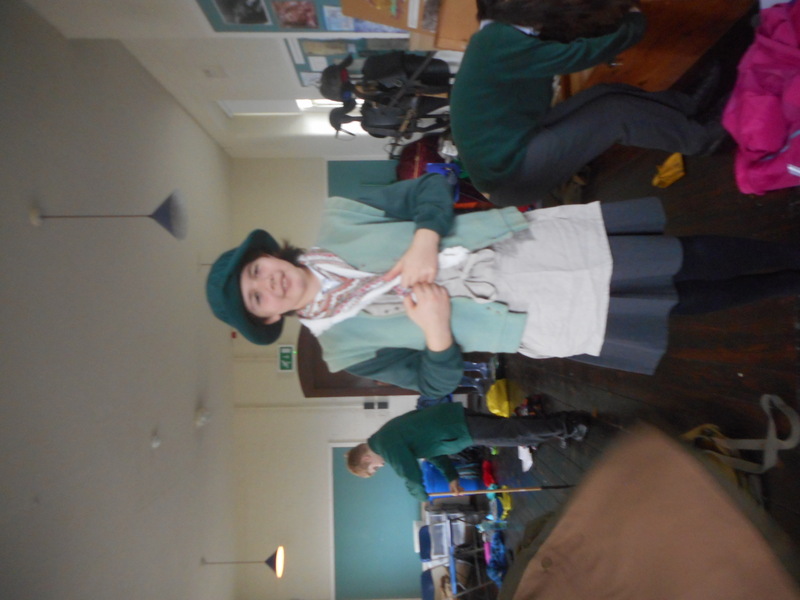 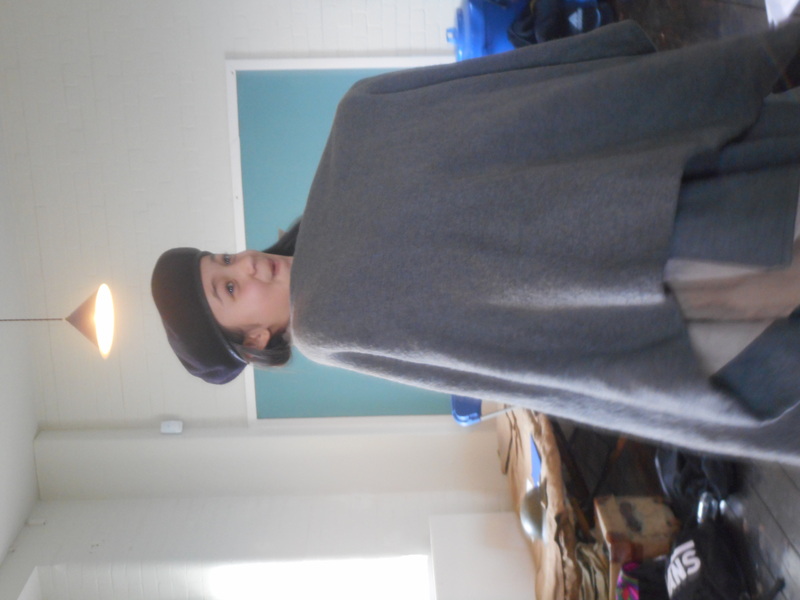 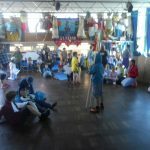 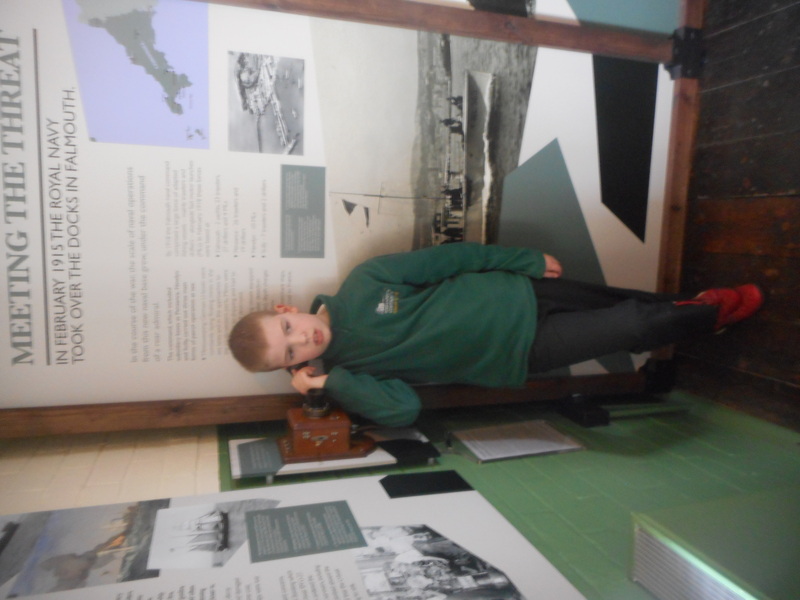 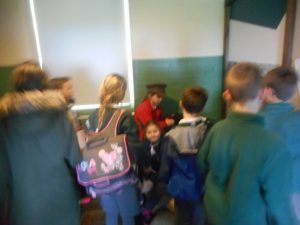 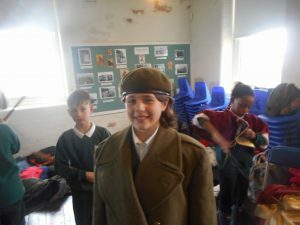 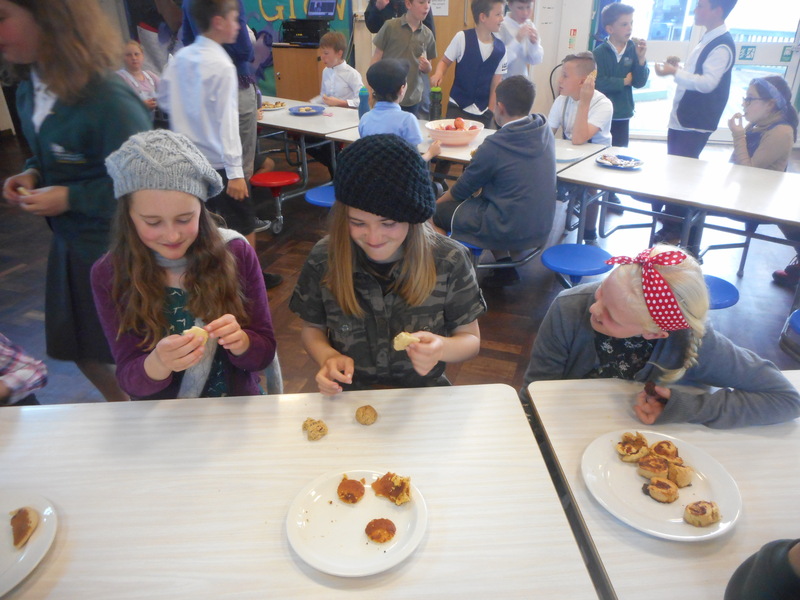 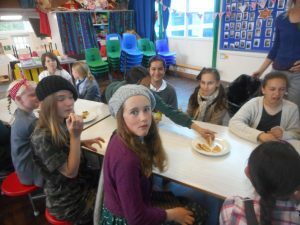 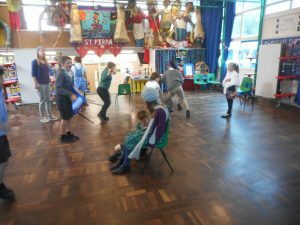 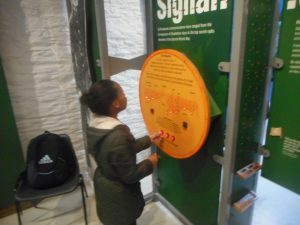 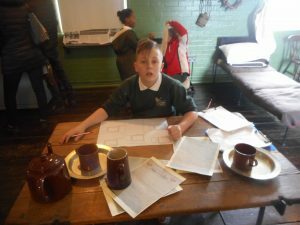 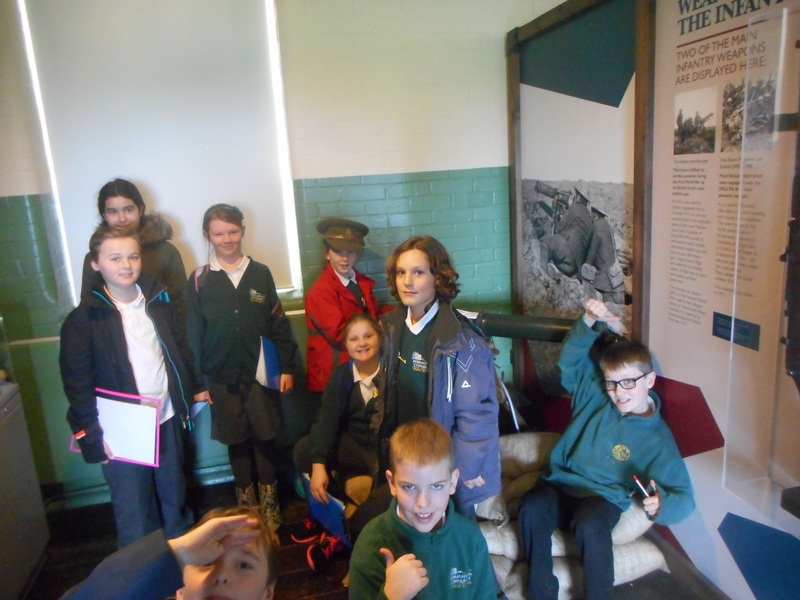 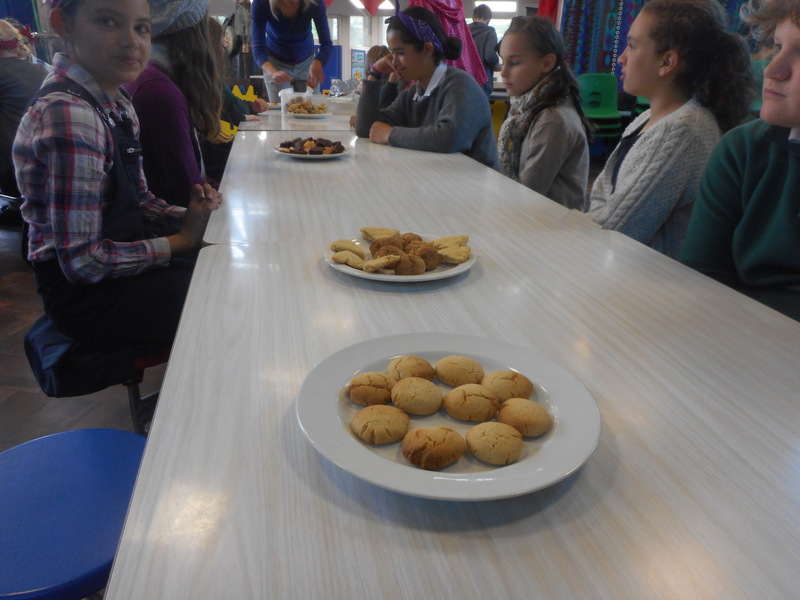 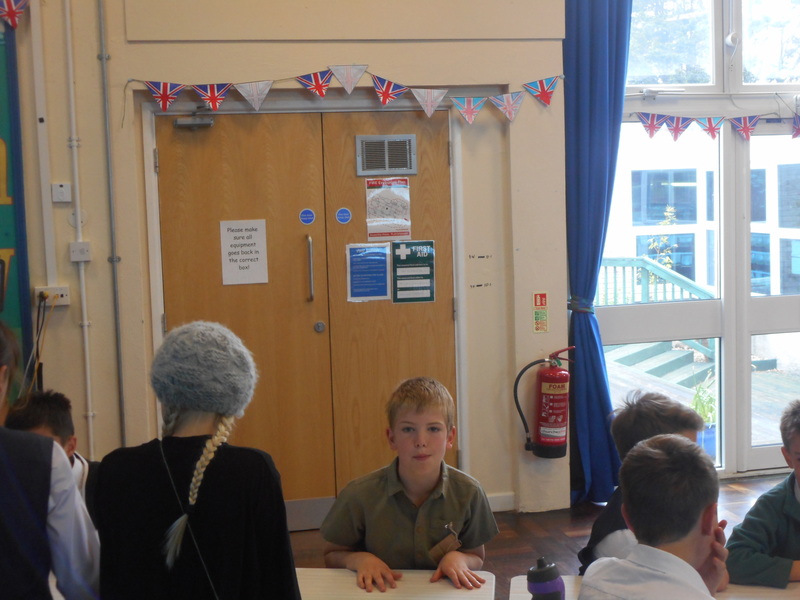 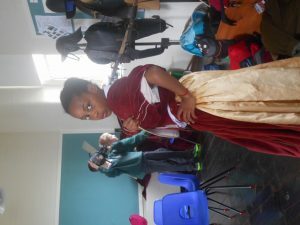 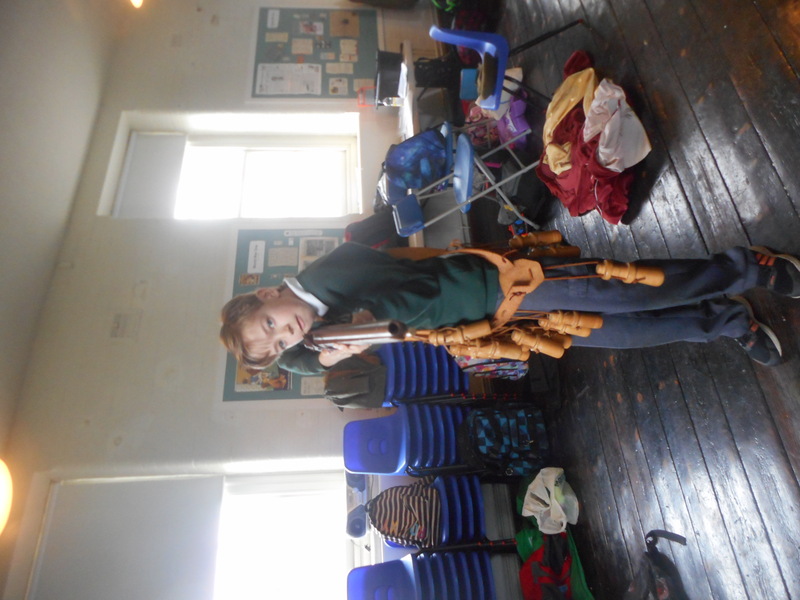 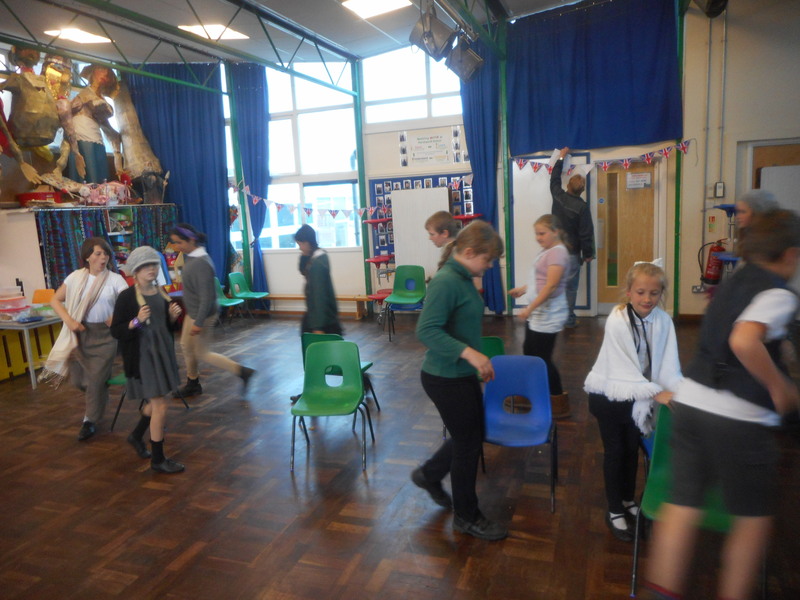 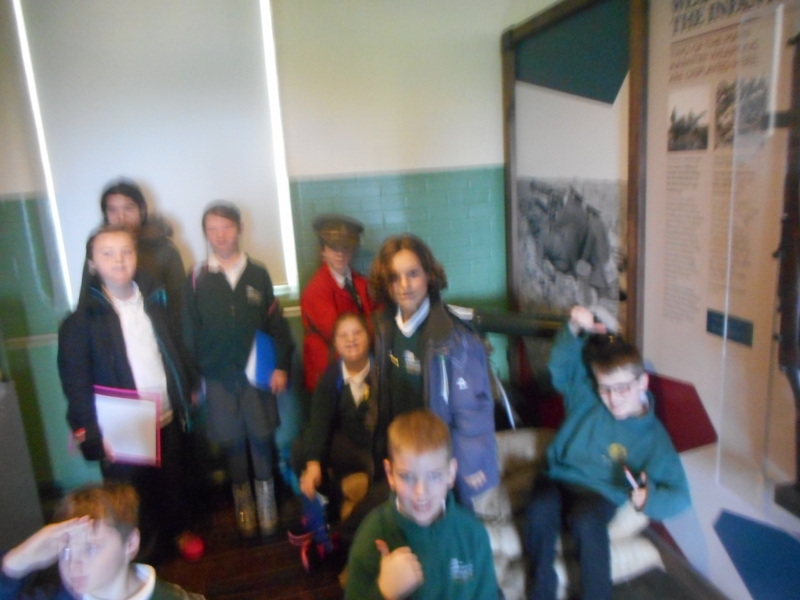 The children dressed in period costume, played beetle, musical chairs and ate the ration recipes that they have made at home ( we especially enjoyed Guy’s potato cakes!) 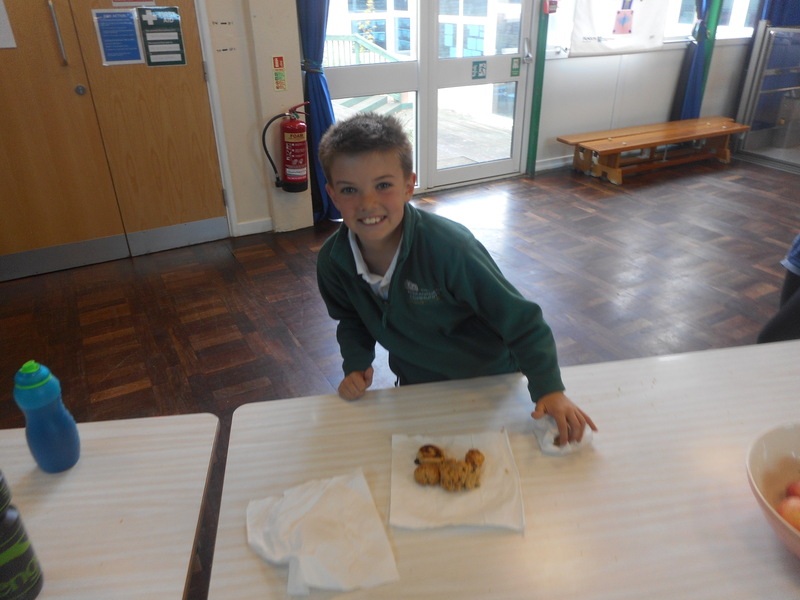 Jake loved the food so much, he took the left over cakes for his parents to enjoy. Emily (dressed as Winston Churchill) was the class beetle champion and Luc enjoyed jiving with Miss Palfreyman. 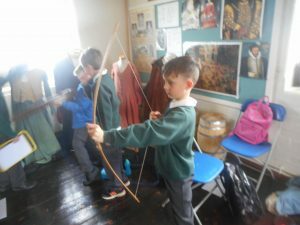 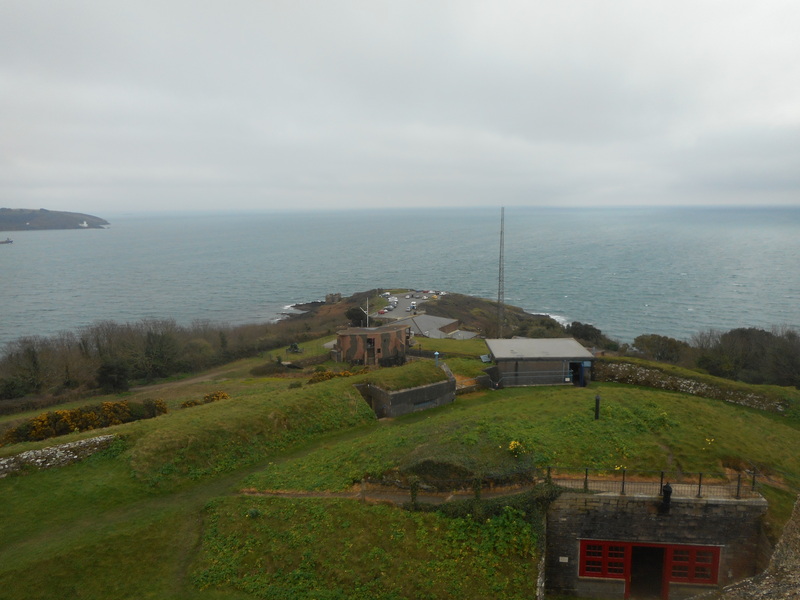 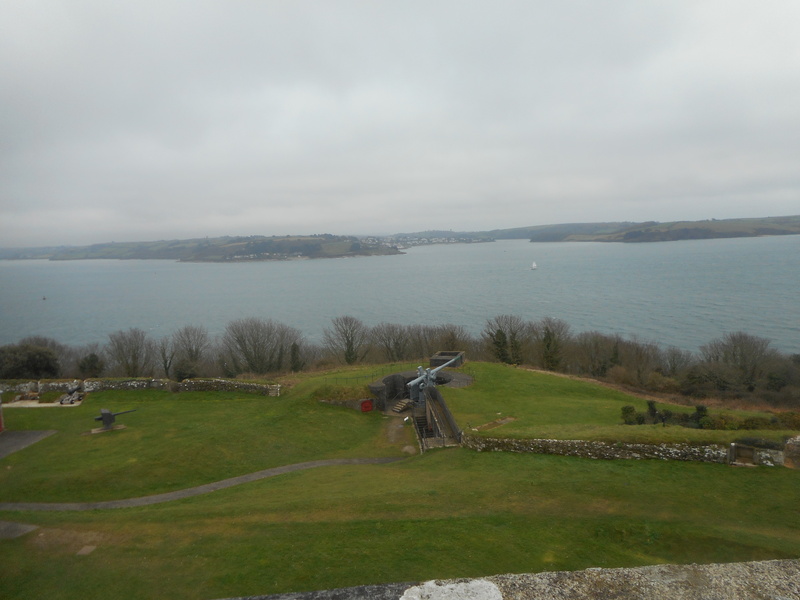 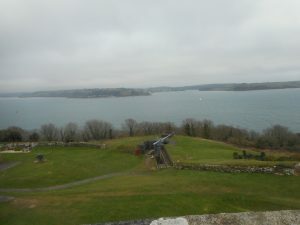 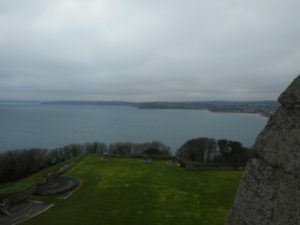 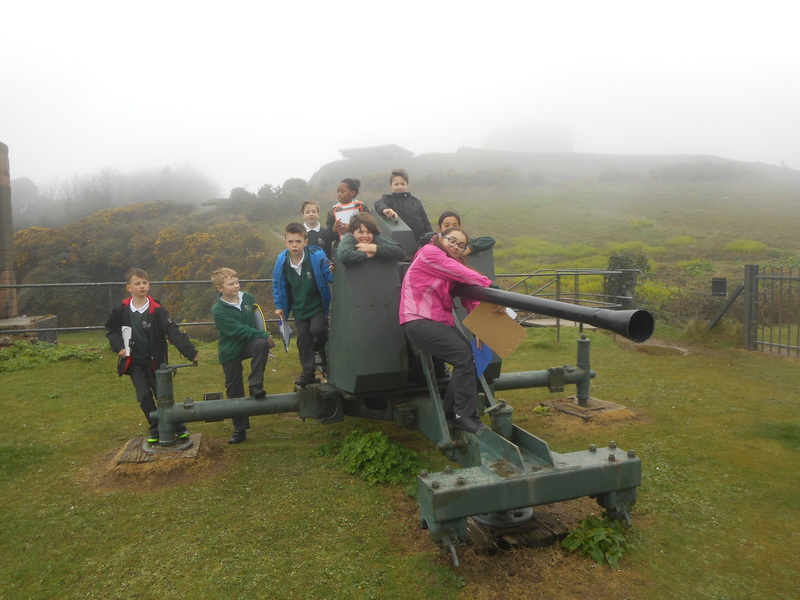 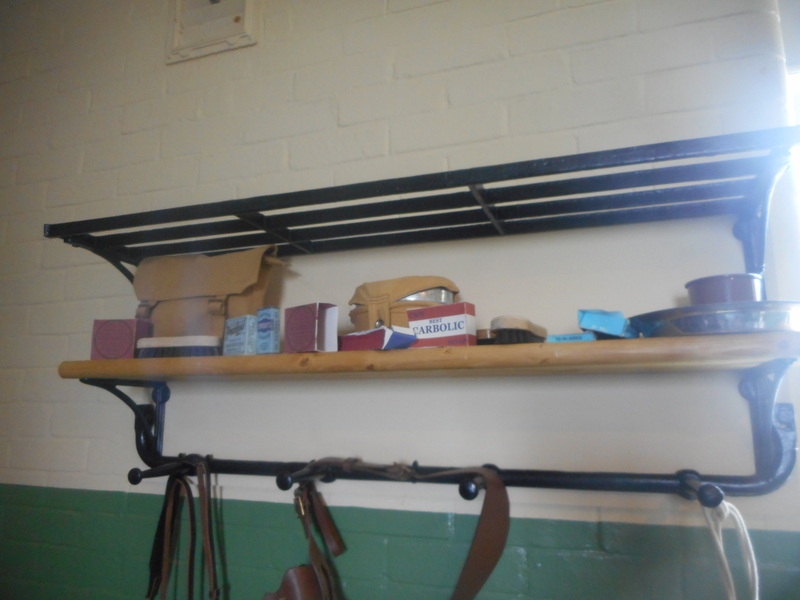 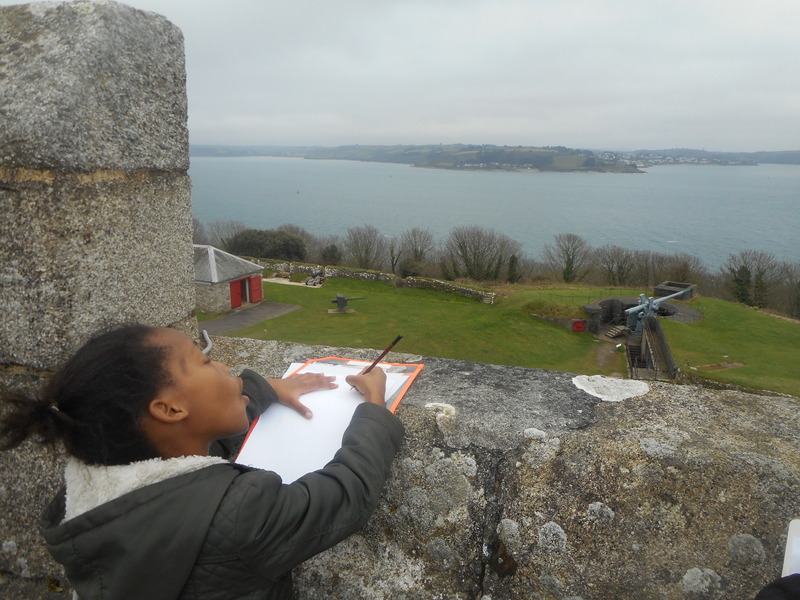 After a busy week, Davy class are getting ready for camp on Monday. 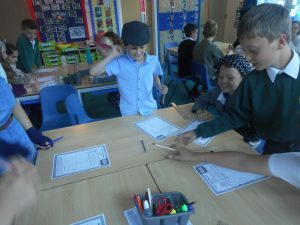 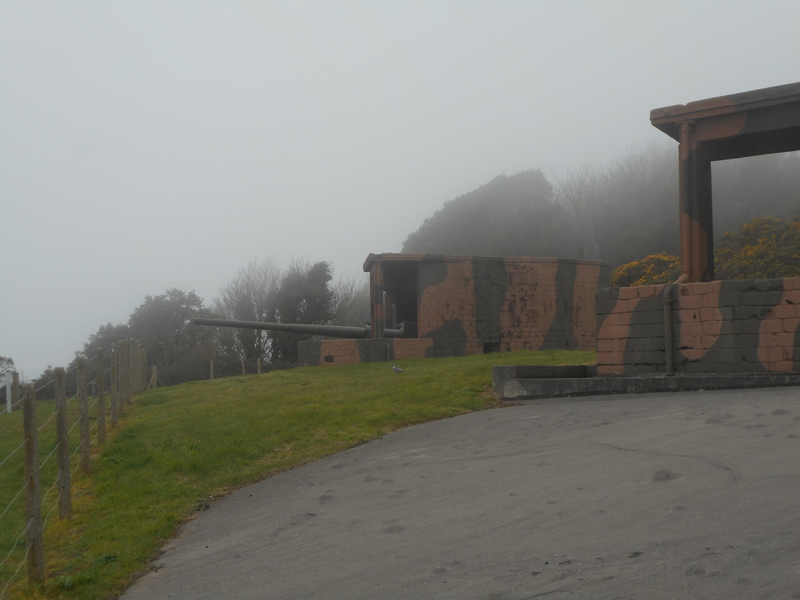 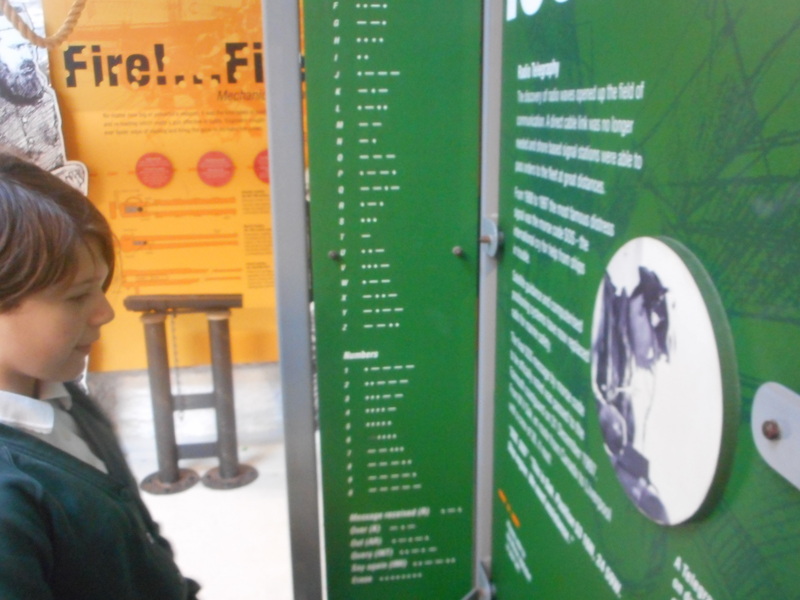 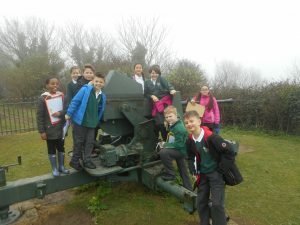 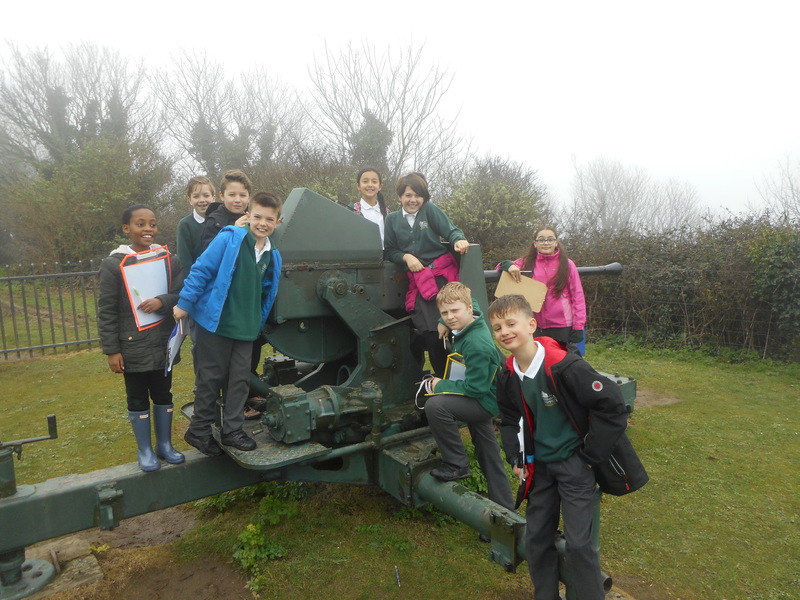 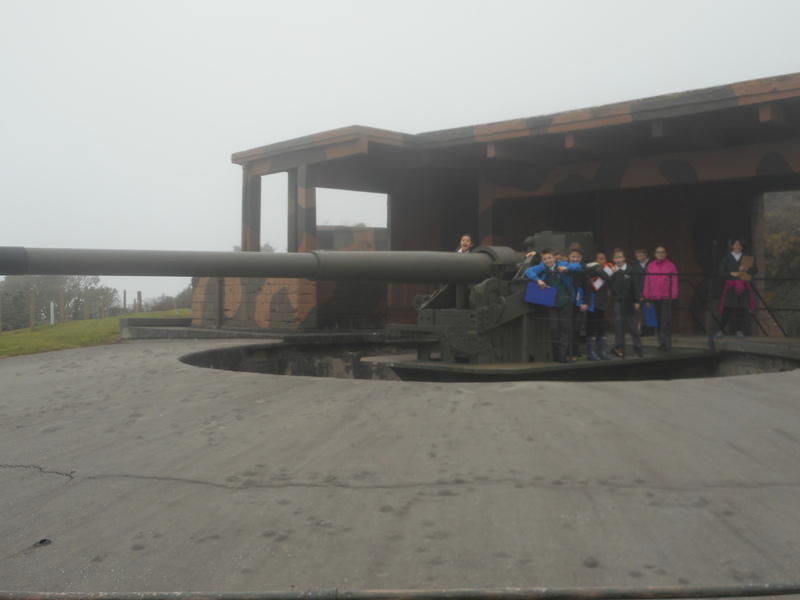 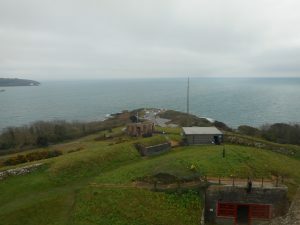 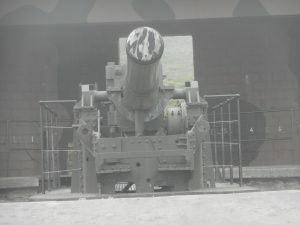 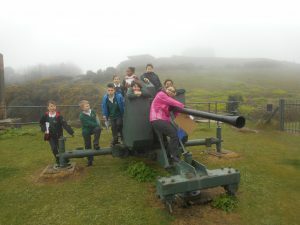 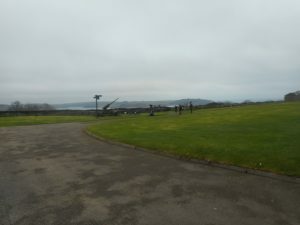 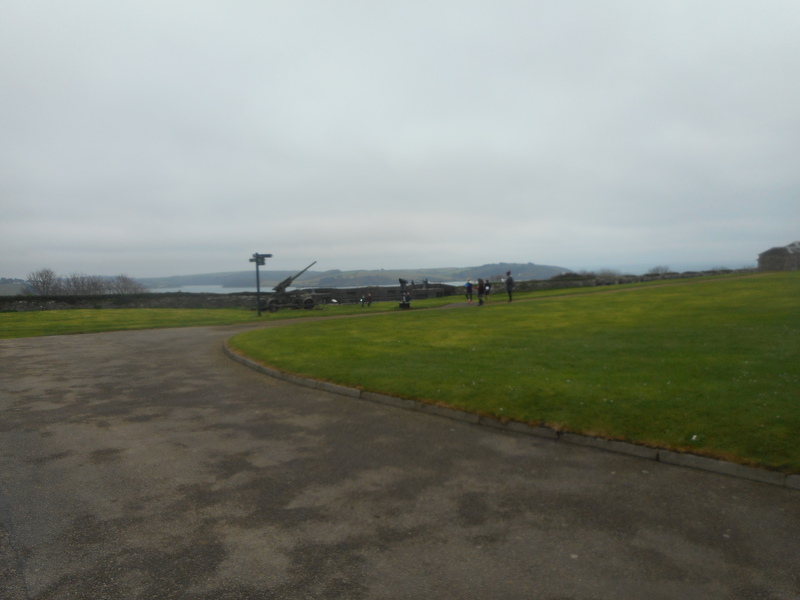 In literacy this week we have been writing all about WW2-The blitz. 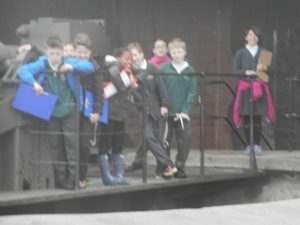 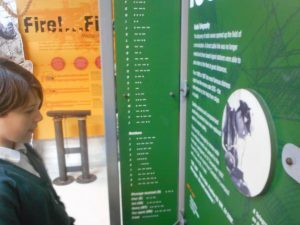 Davy class has been writing about characters that are in the middle of the blitz in WW2 when the Germans or in those days known as the Gerry’s. 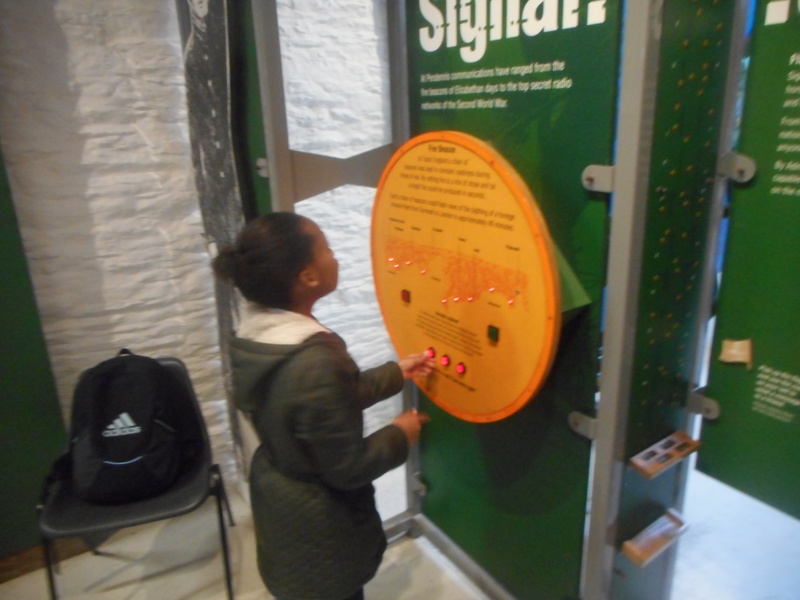 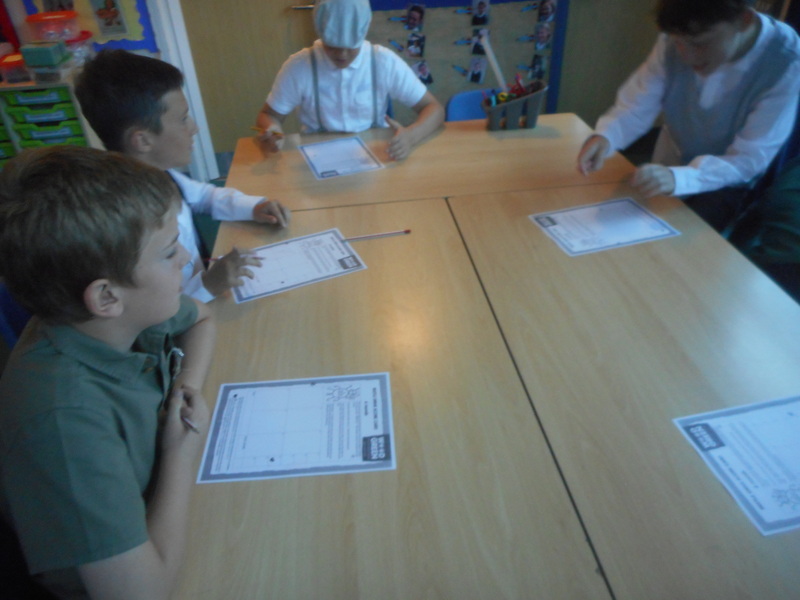 In maths this week we have been learning about percentages e.g. 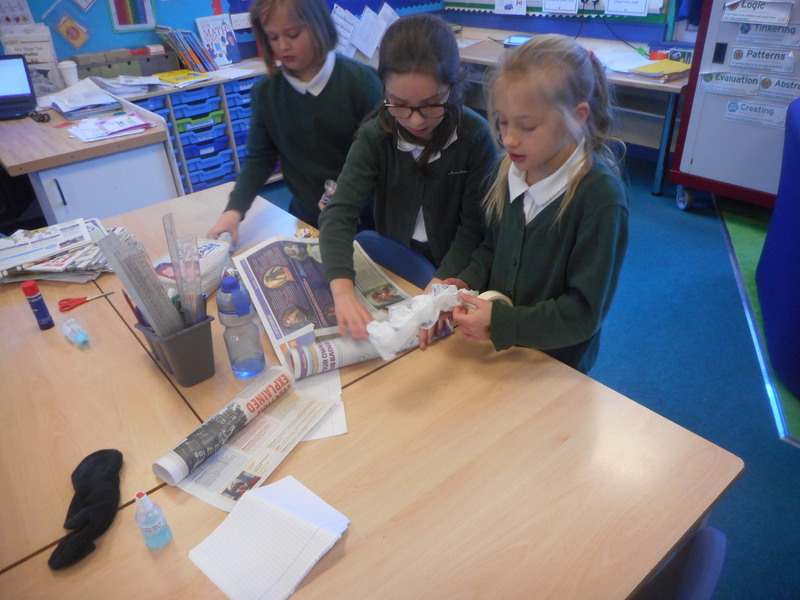 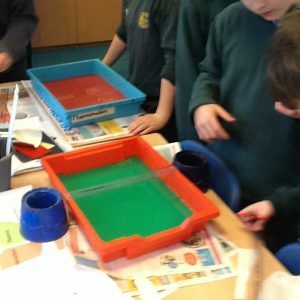 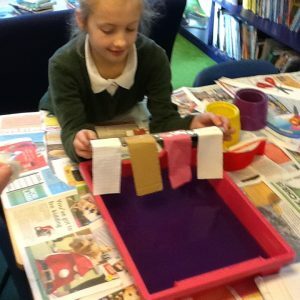 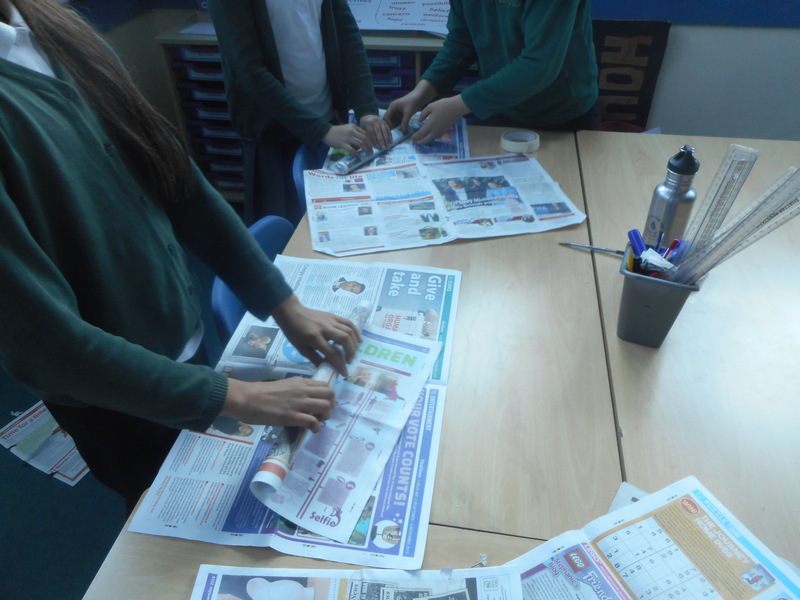 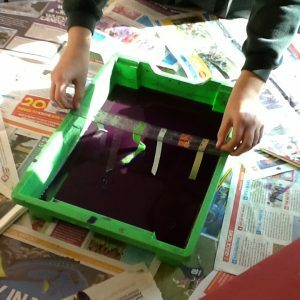 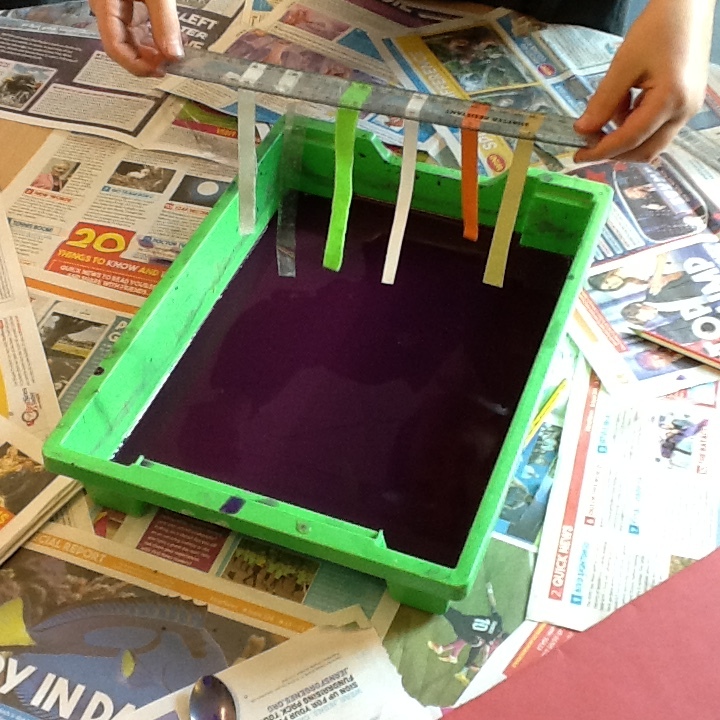 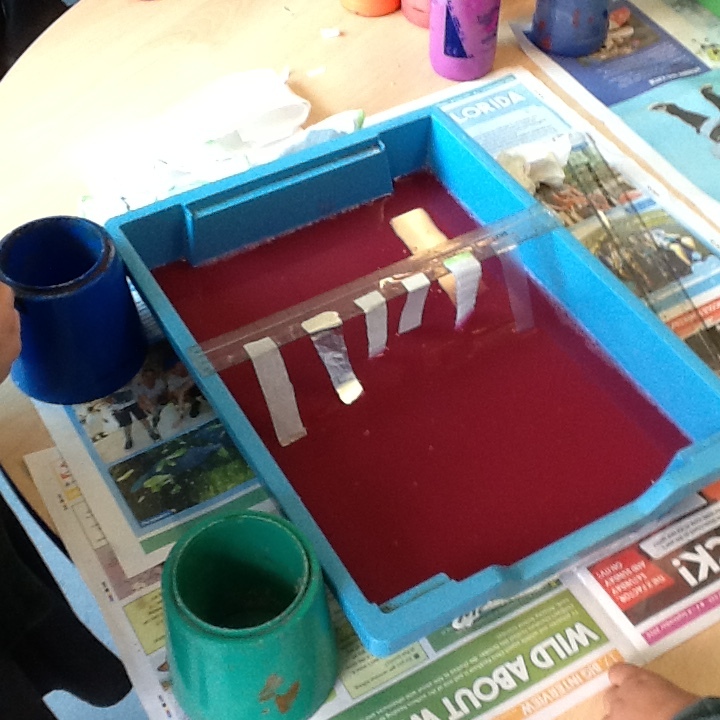 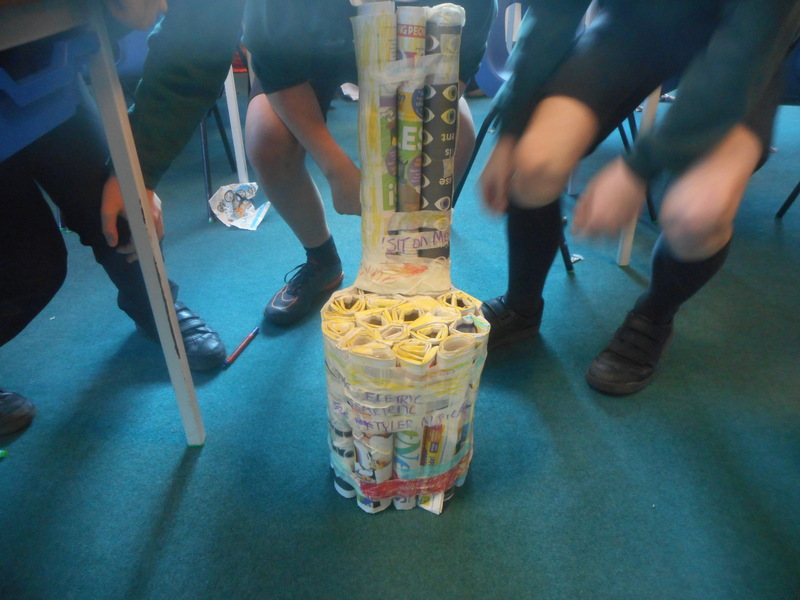 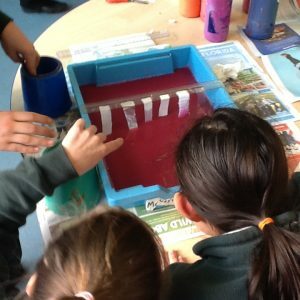 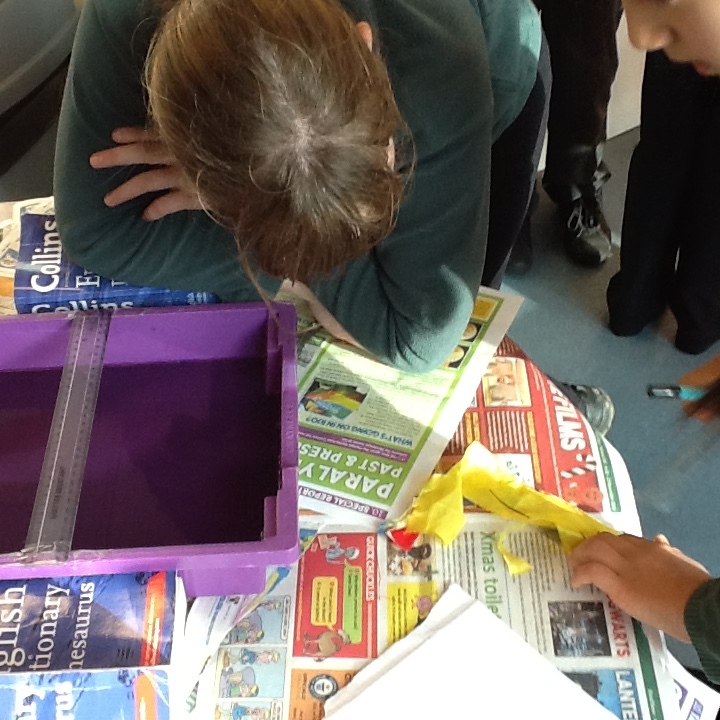 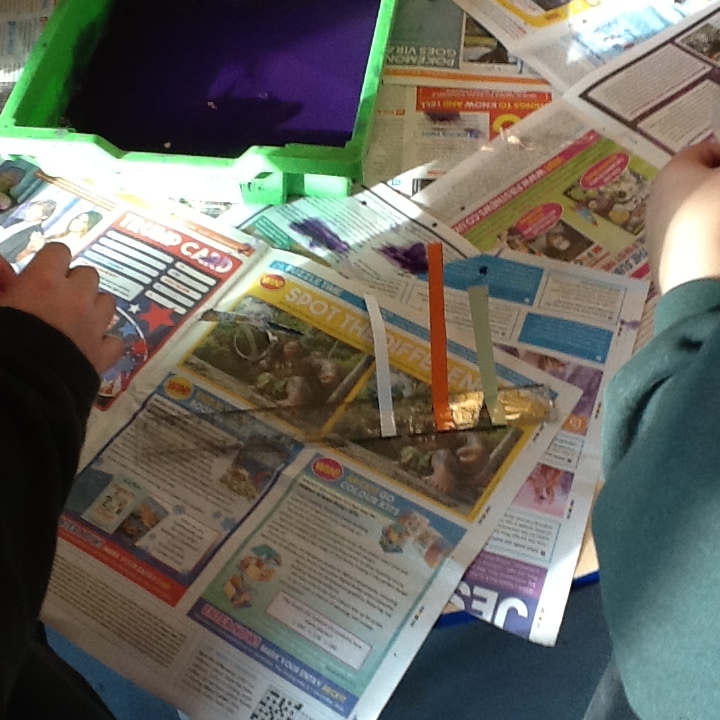 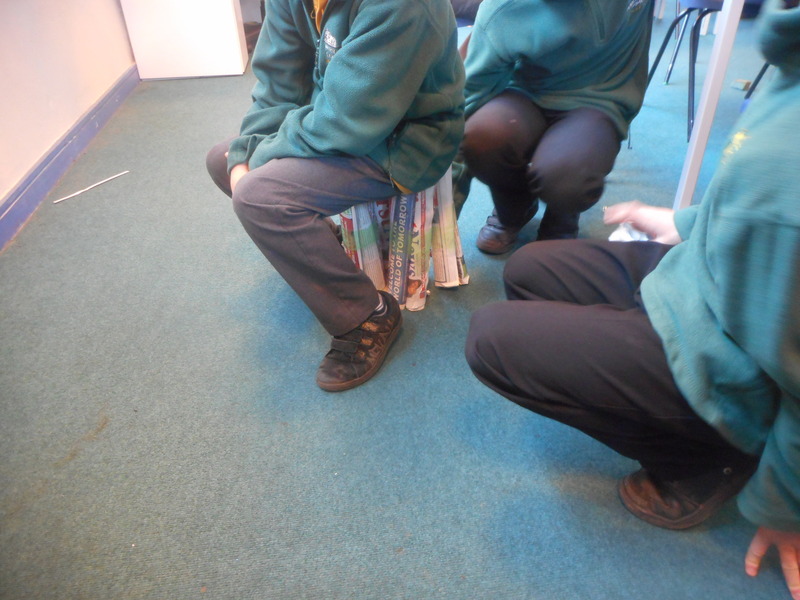 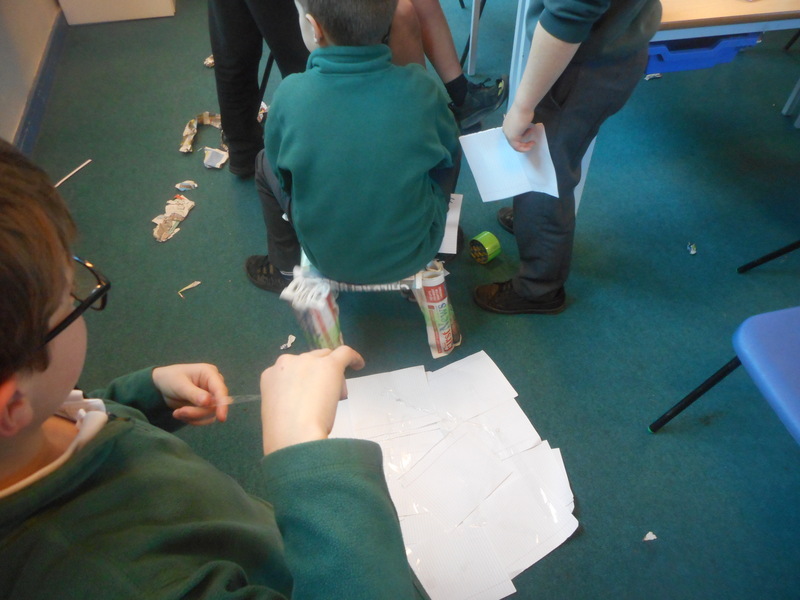 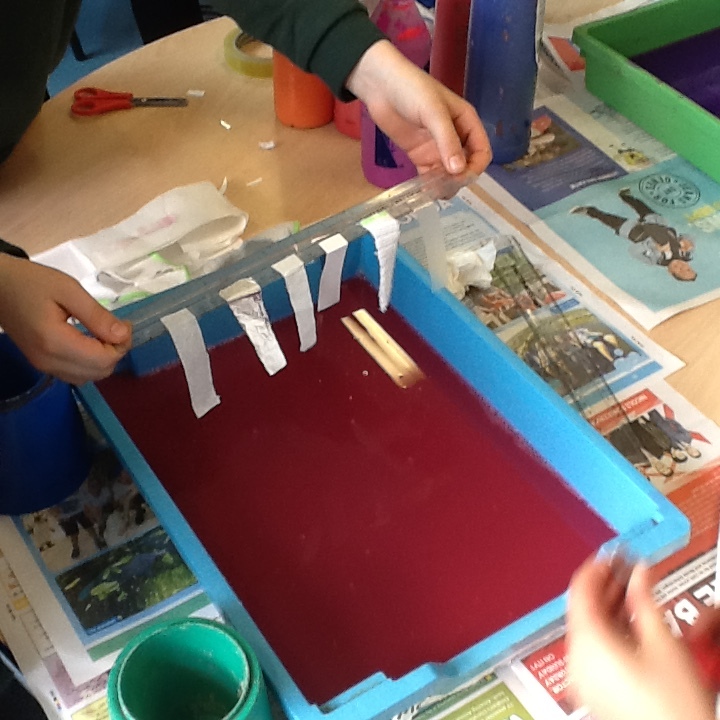 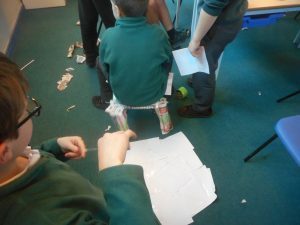 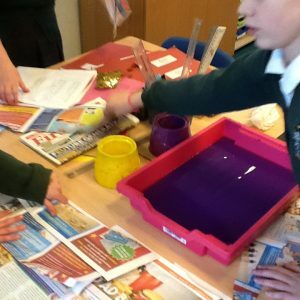 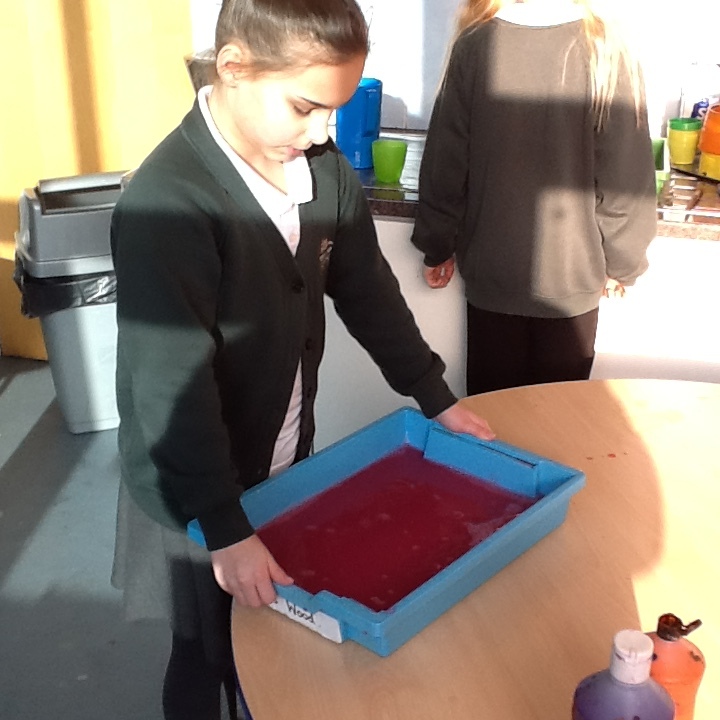 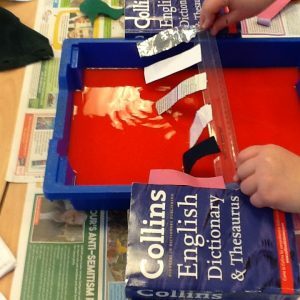 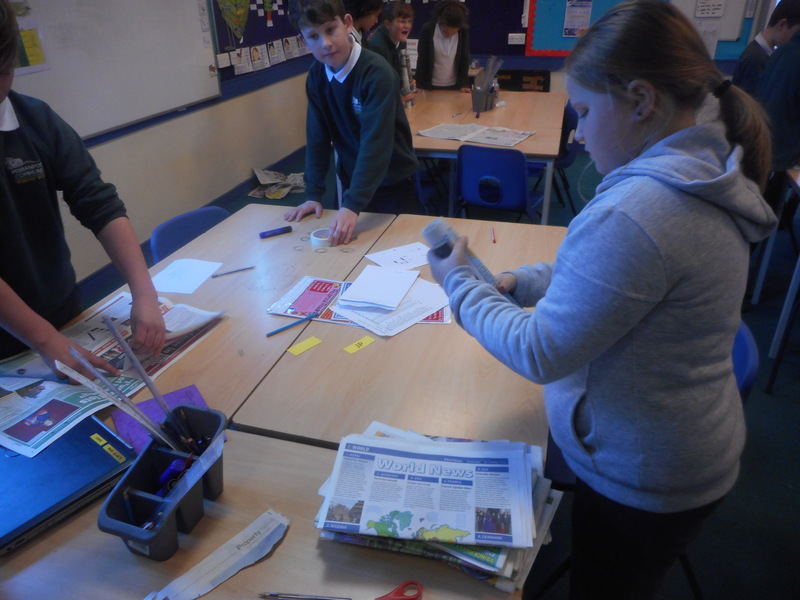 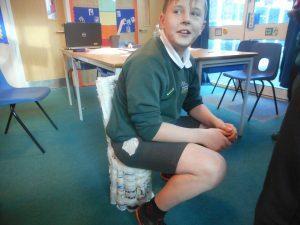 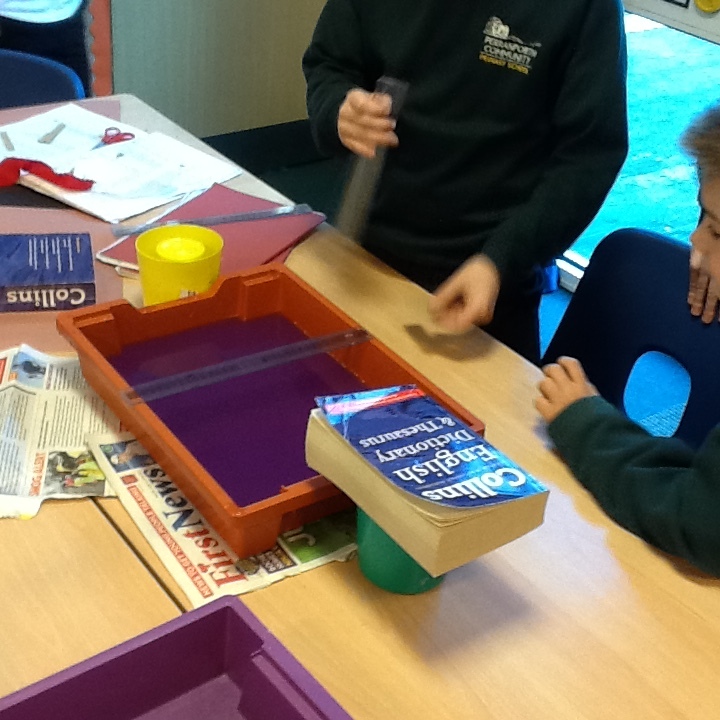 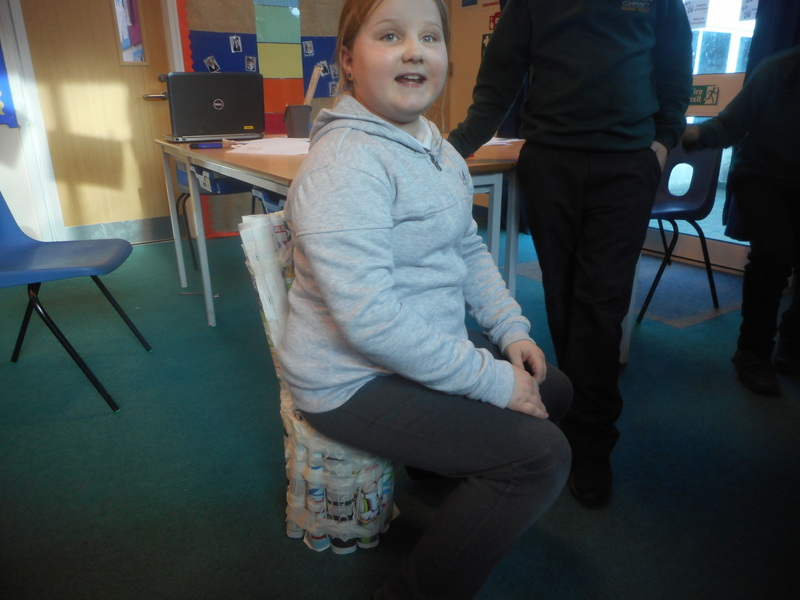 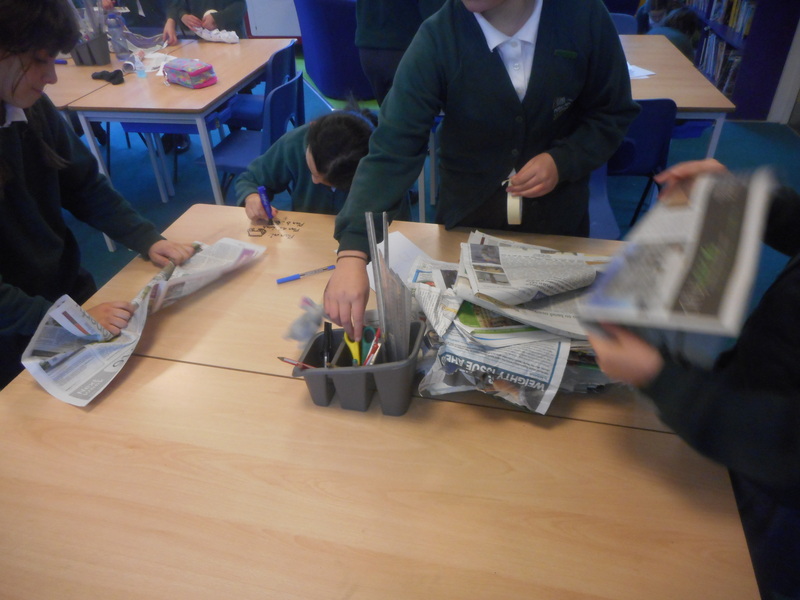 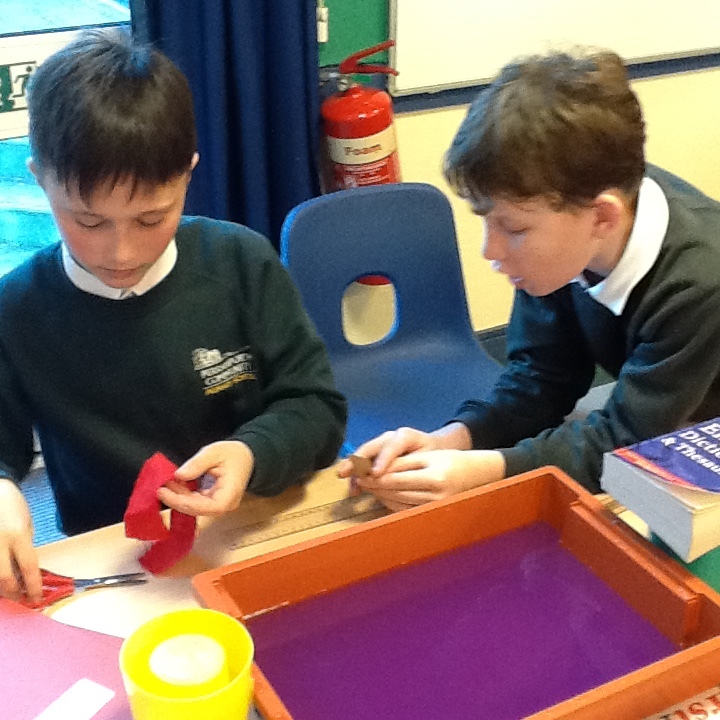 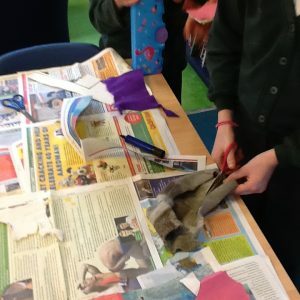 We carried out a fair test to find out which material was the most absorbent. 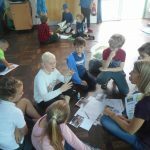 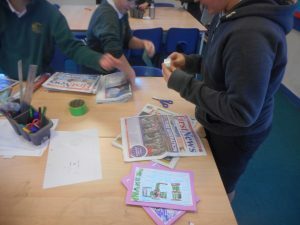 This week in Davy class we have been writing booklets and leaflets on how to survive a natural disaster out of tornado, earthquake, tsunami, volcanos or hurricanes. 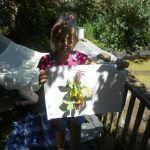 They have been coming out with tons of facts and pictures. 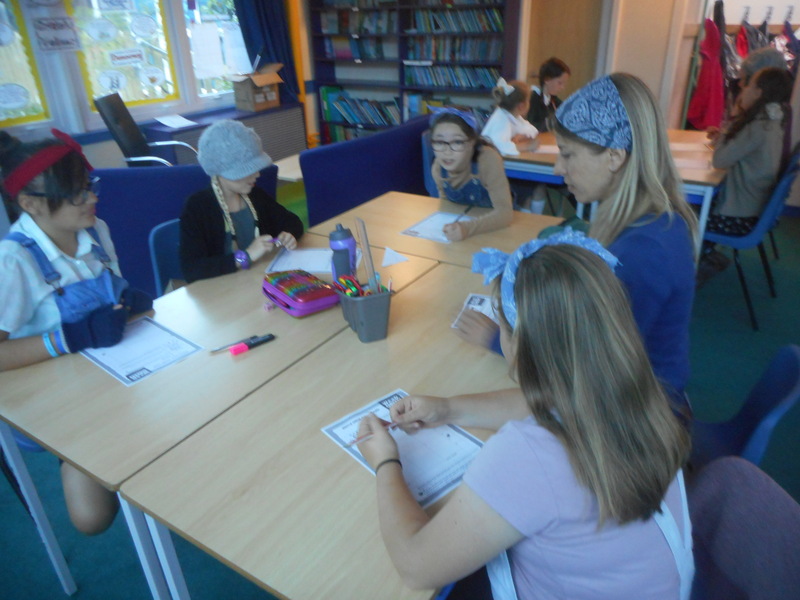 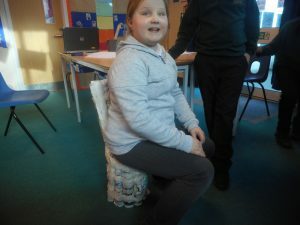 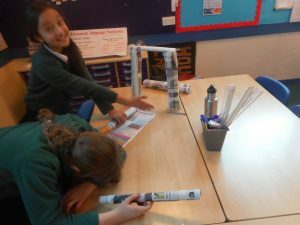 In I.C.T we have been having loads of fun with Miss Roberson. 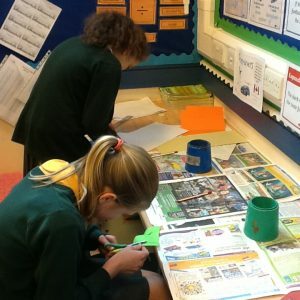 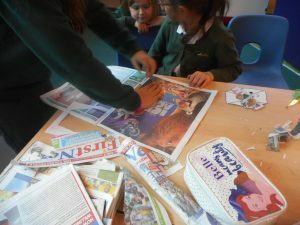 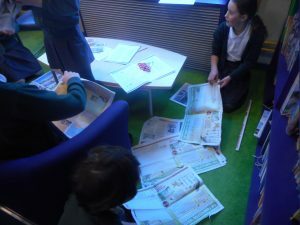 We are in the process of planning our own news reports on Japanese Tsunami’s in groups of three and acting it out which is loads of fun. 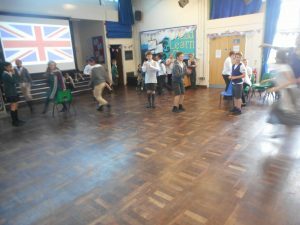 In music we have been attempting to make beautiful songs on the ukulele which is really enjoyable which is making us want to learn more and more. In maths this week we have been adding and subtracting fractions. 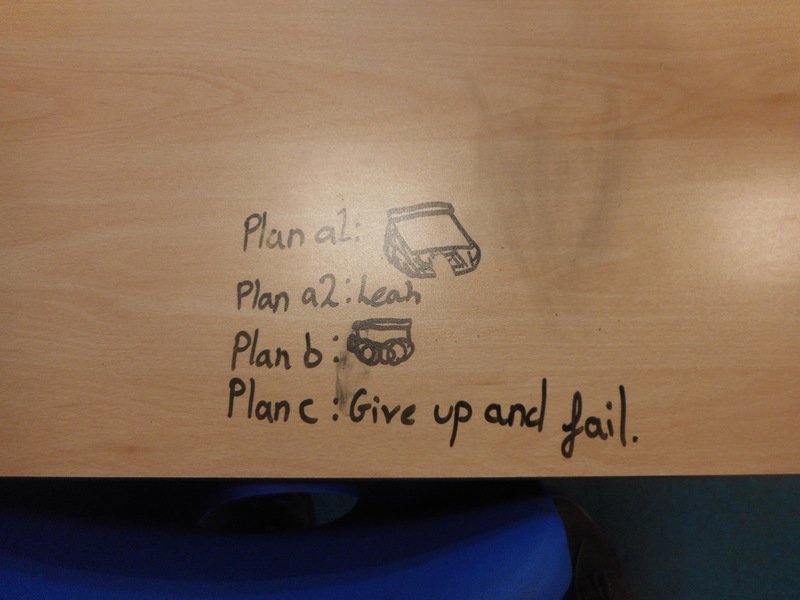 Its hard but all you have to do is take away the numerator, or add the numerator if adding.